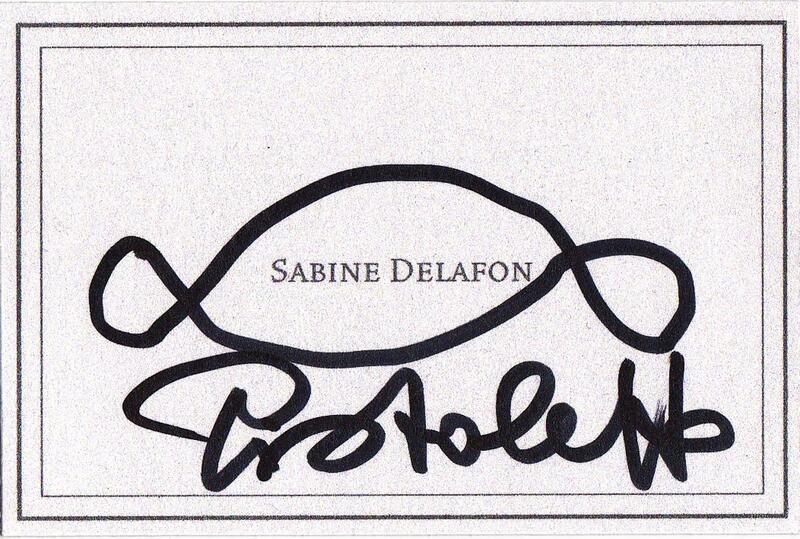 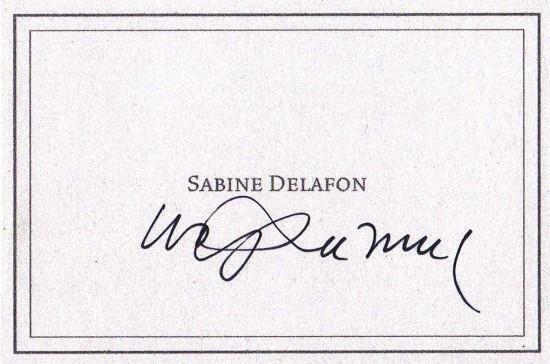 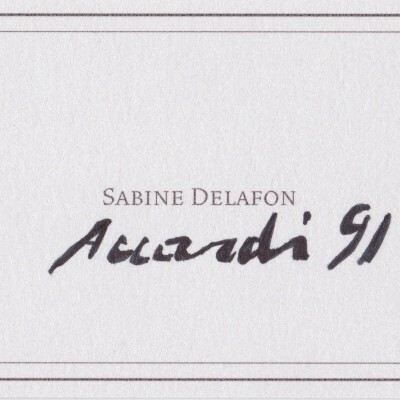 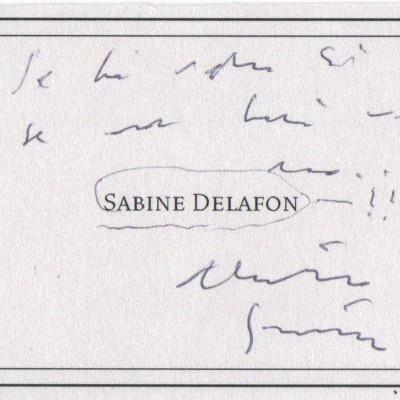 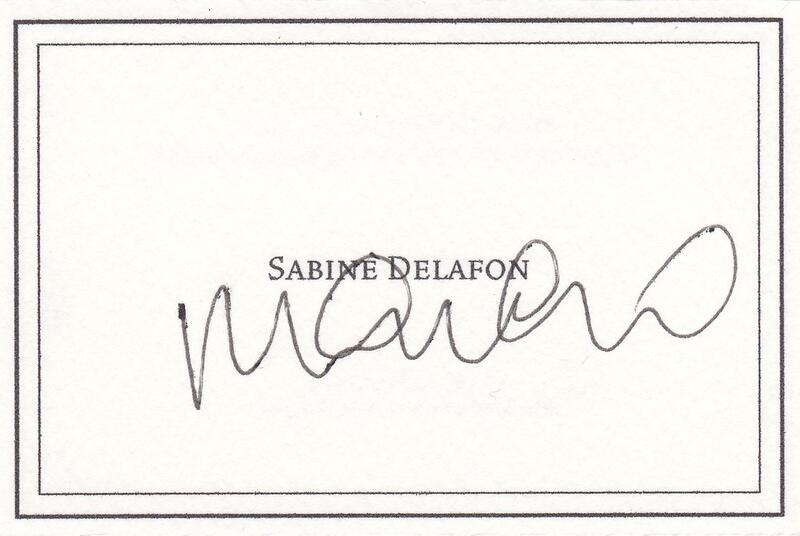 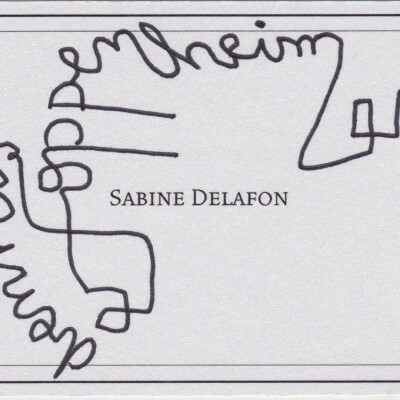 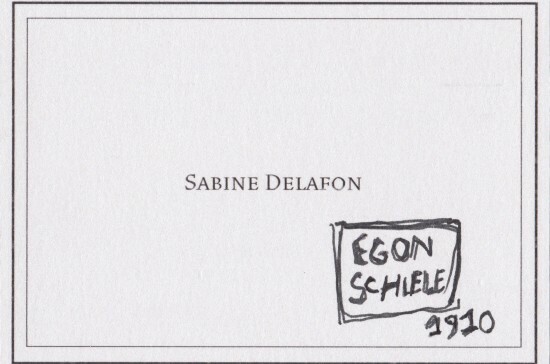 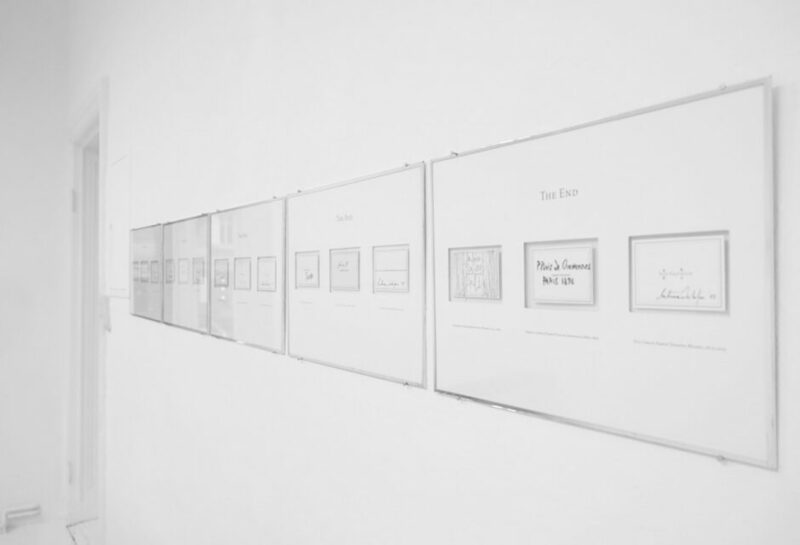 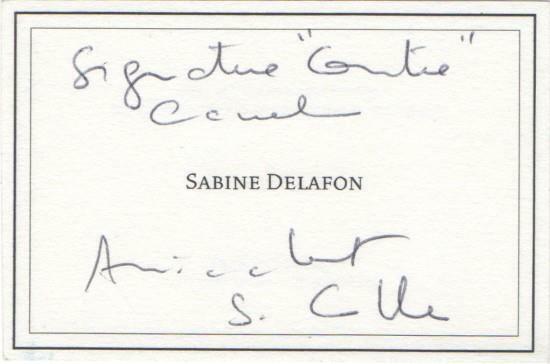 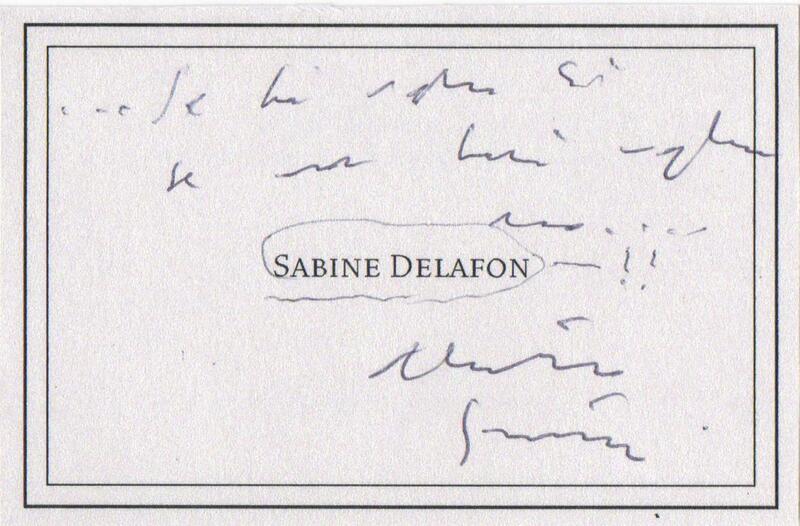 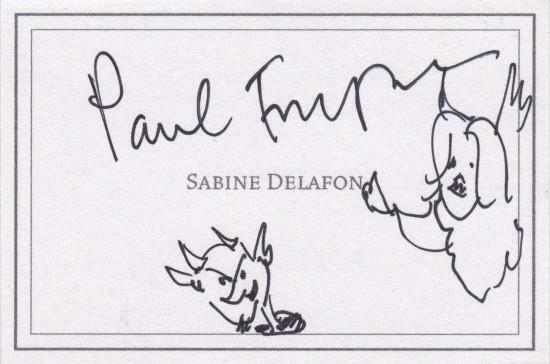 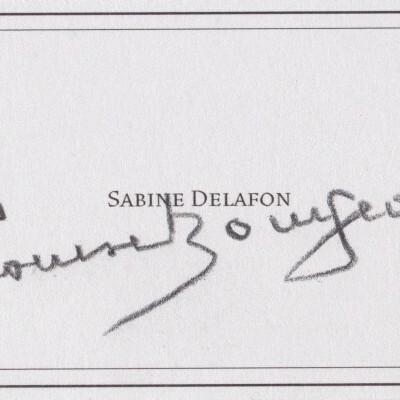 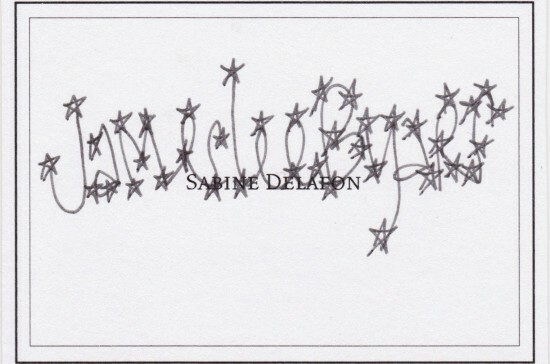 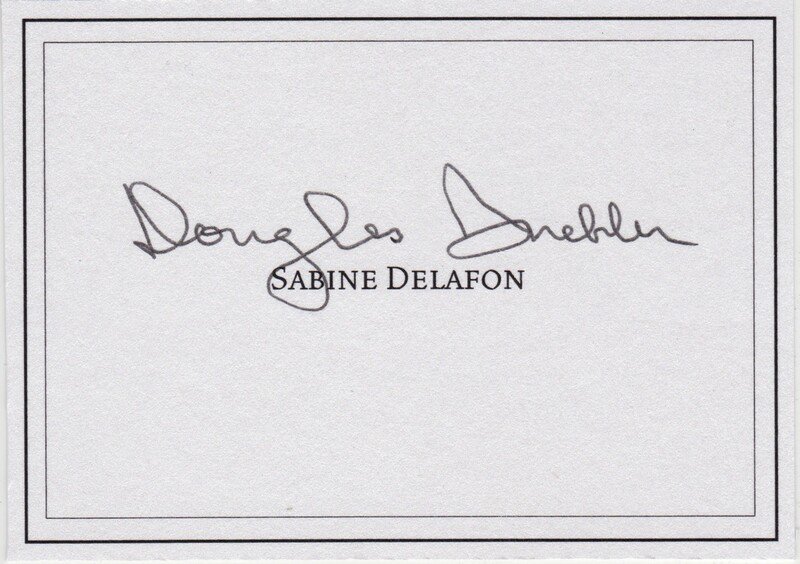 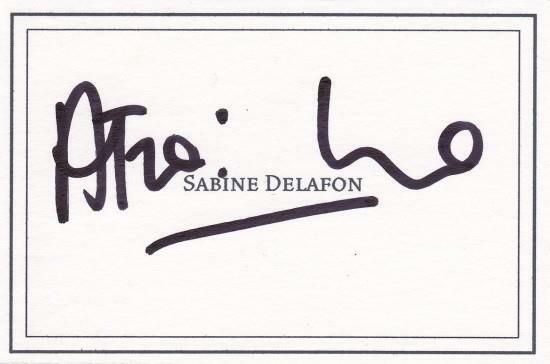 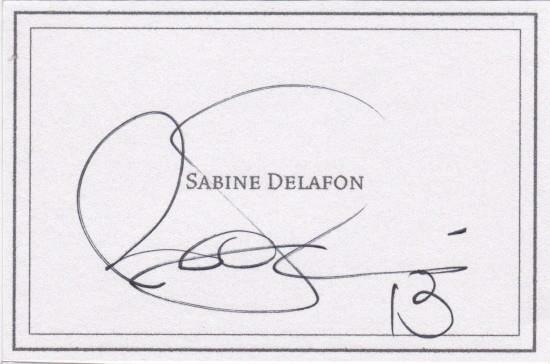 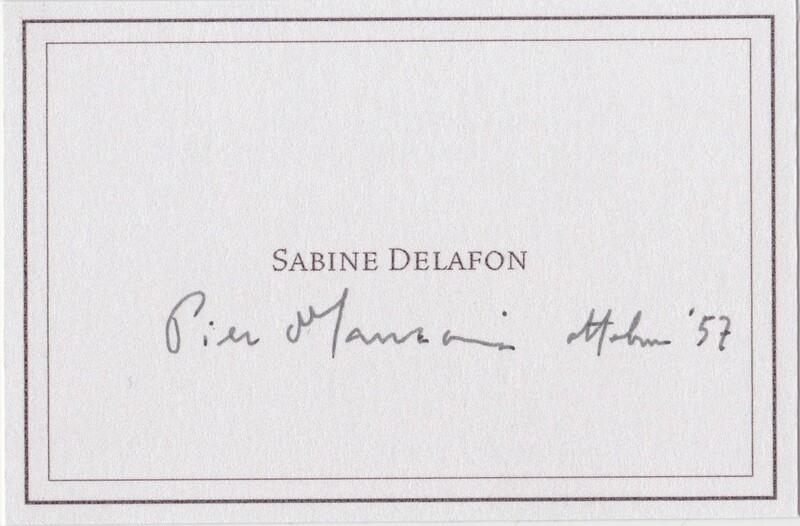 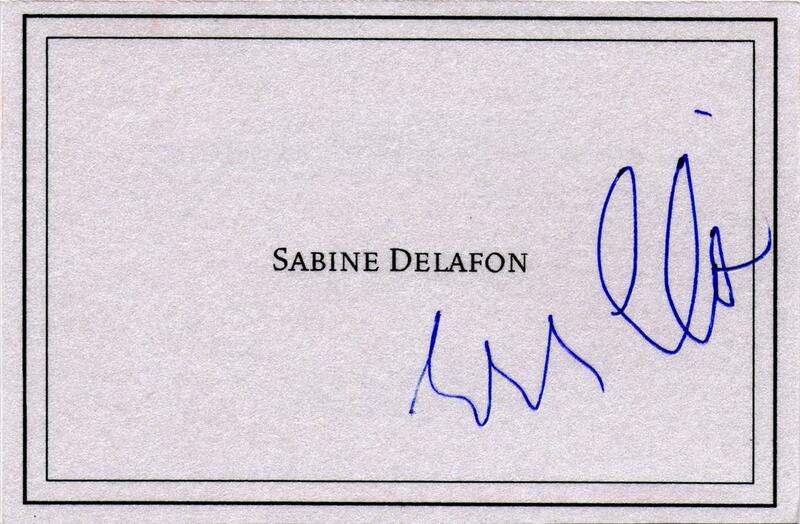 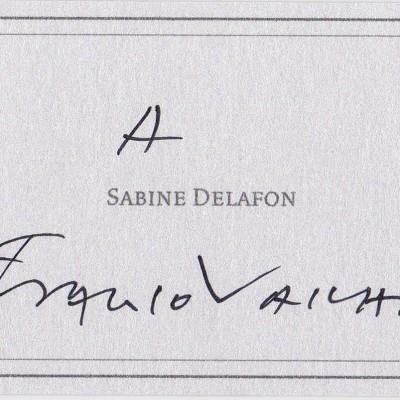 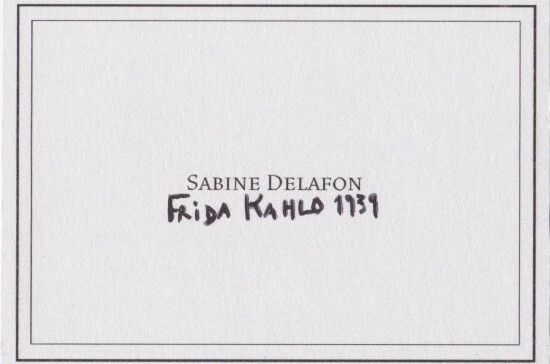 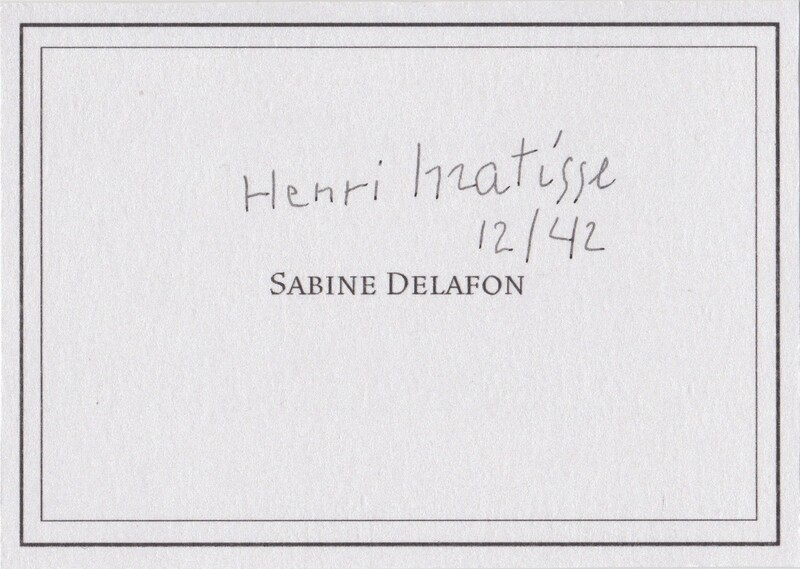 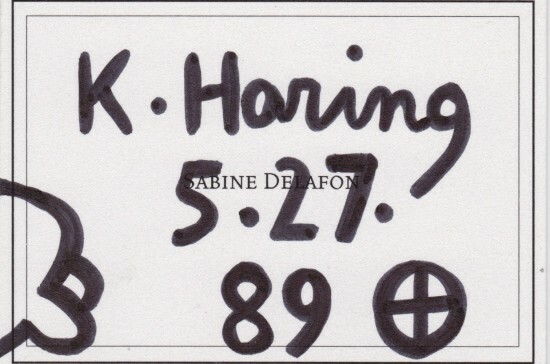 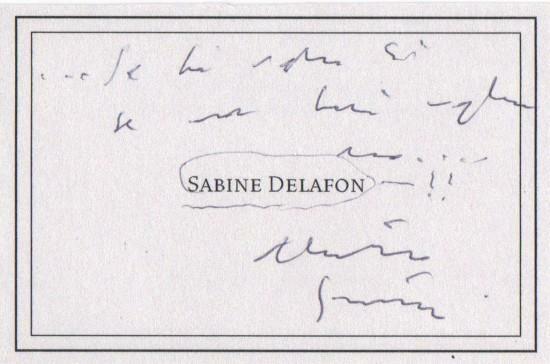 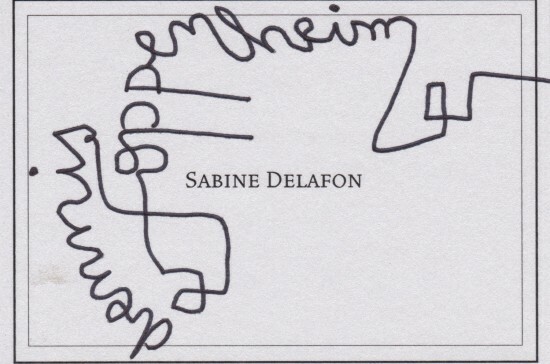 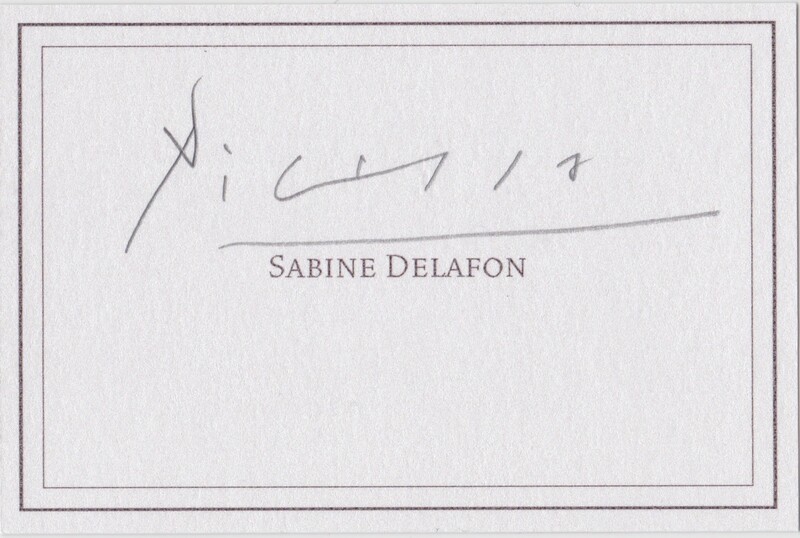 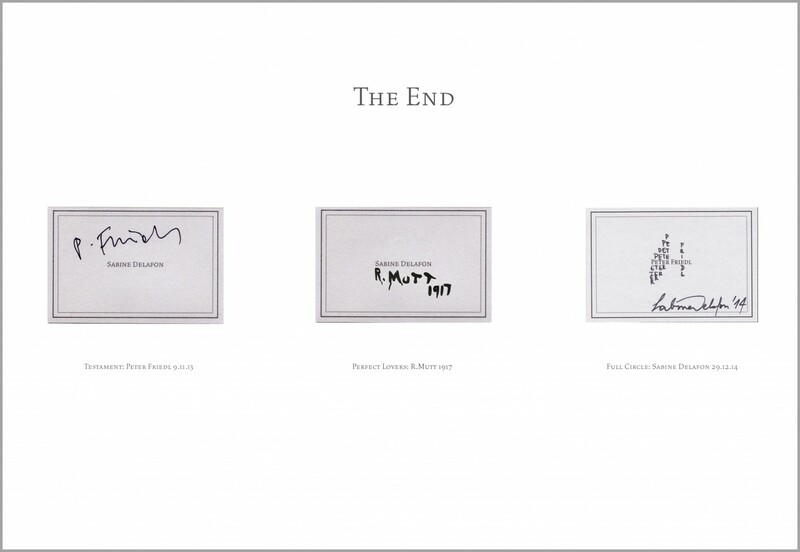 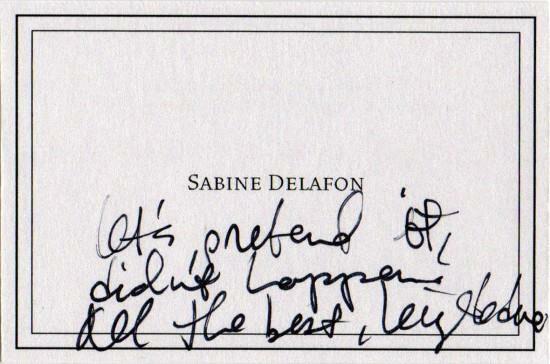 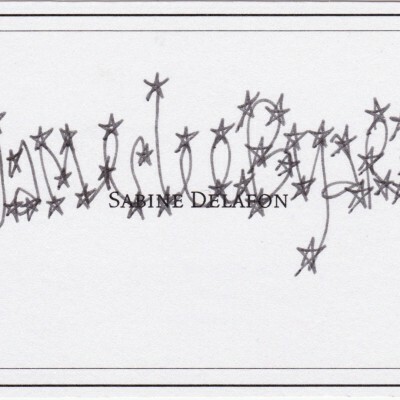 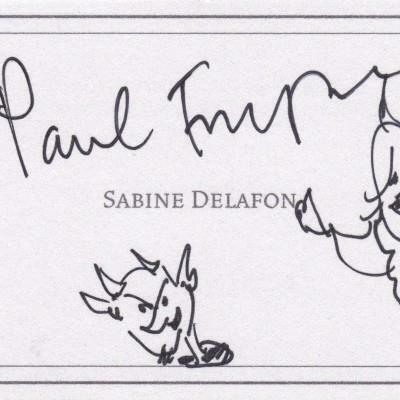 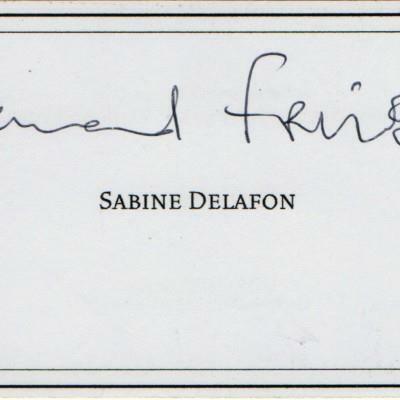 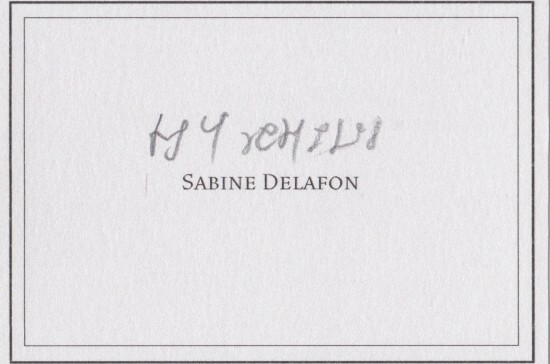 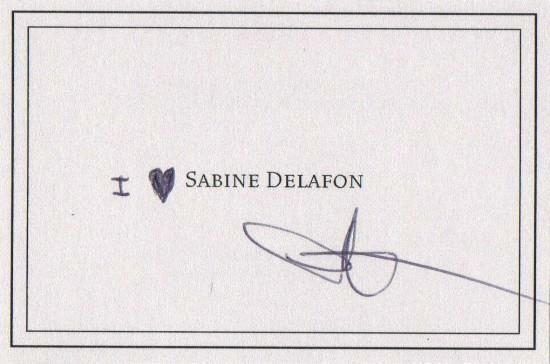 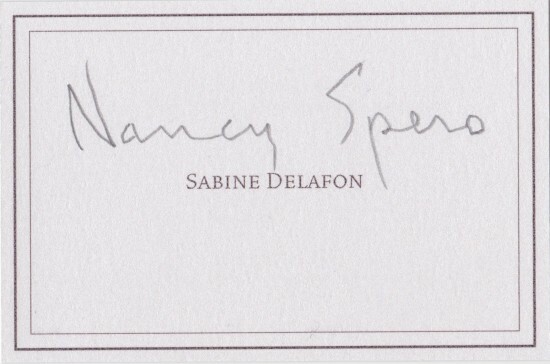 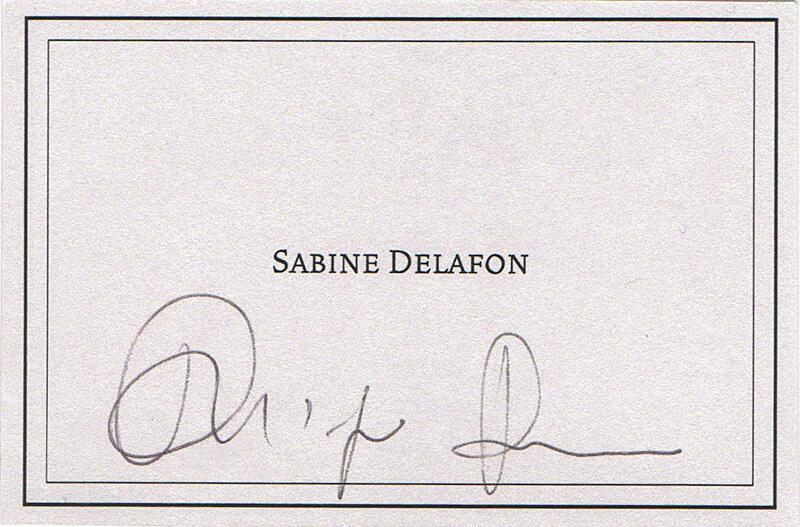 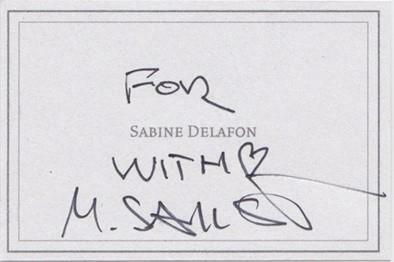 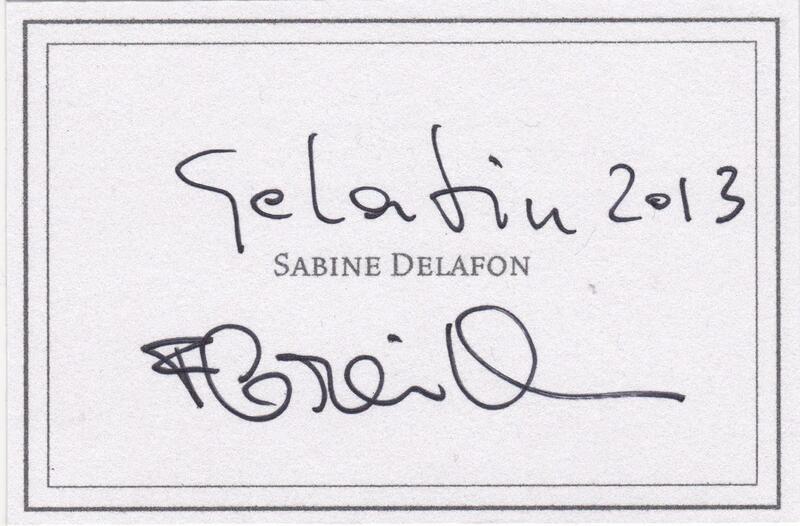 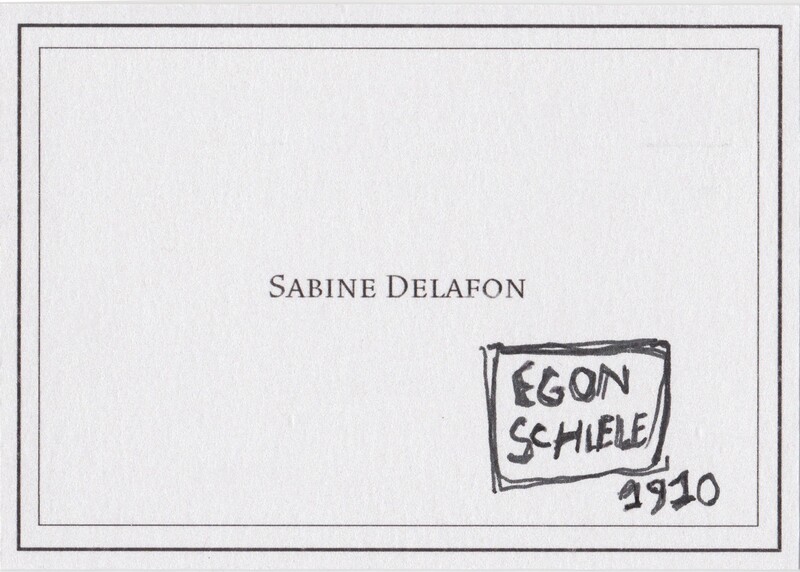 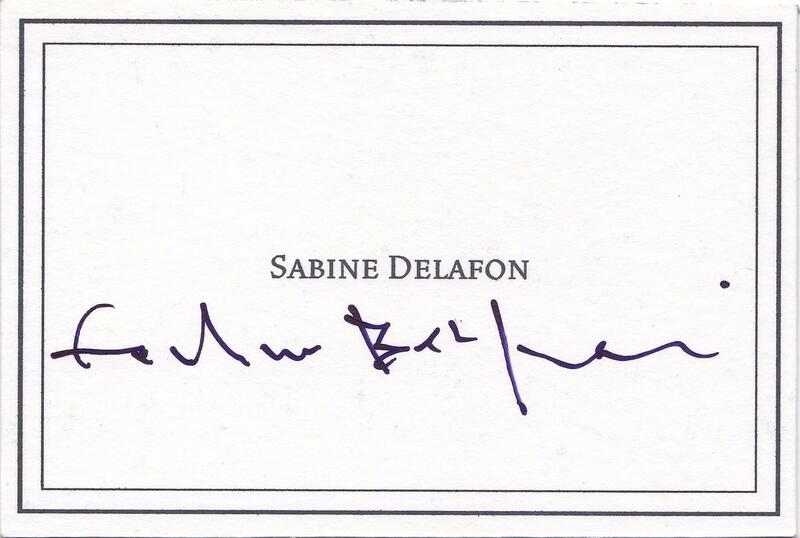 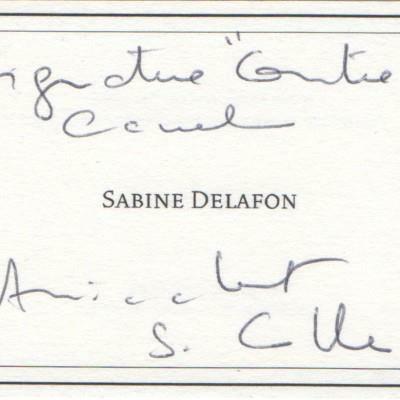 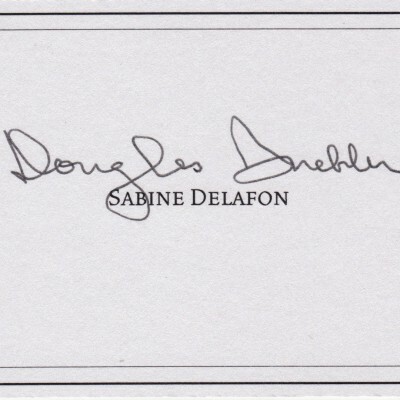 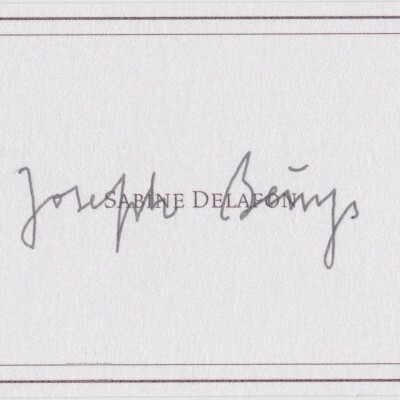 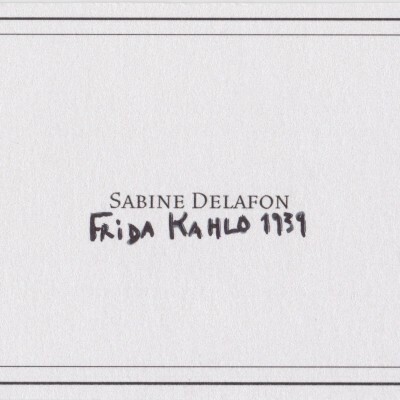 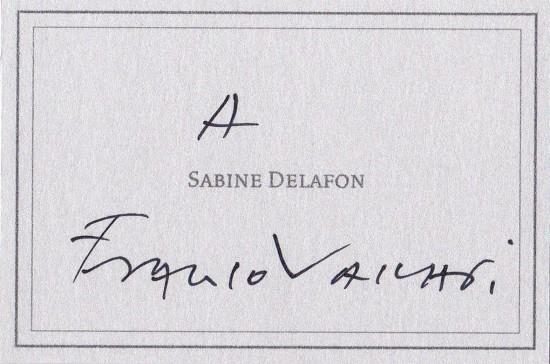 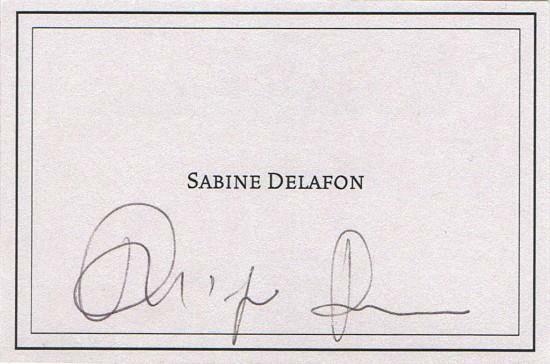 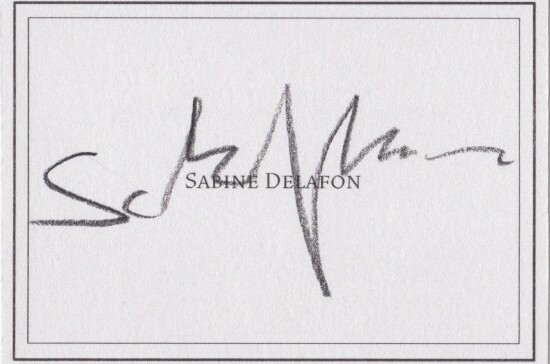 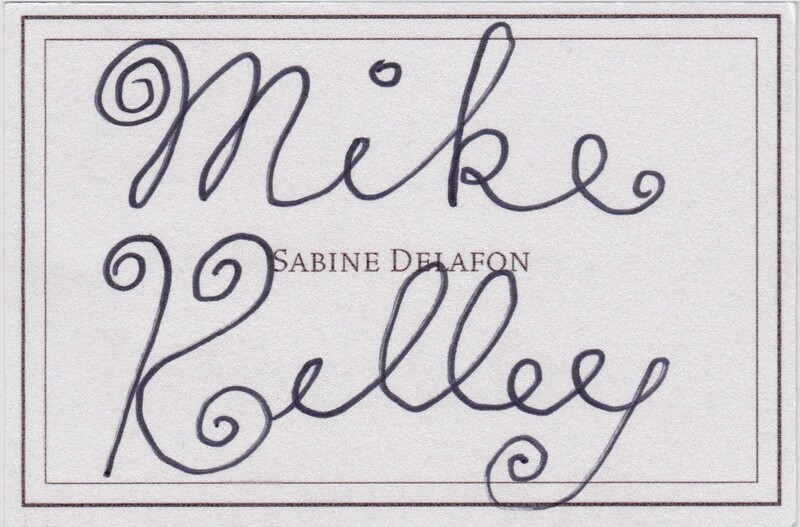 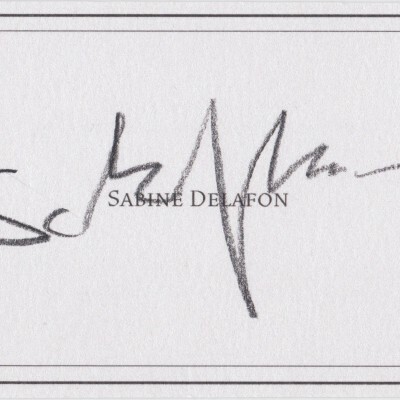 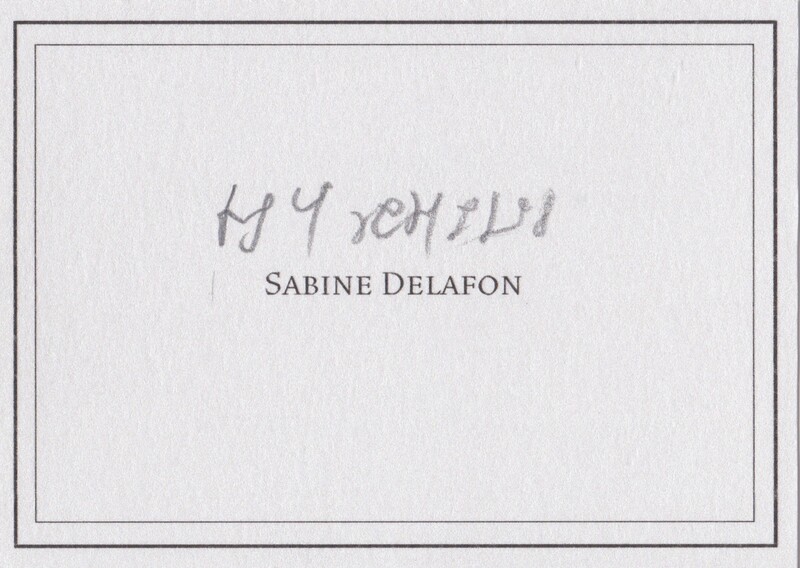 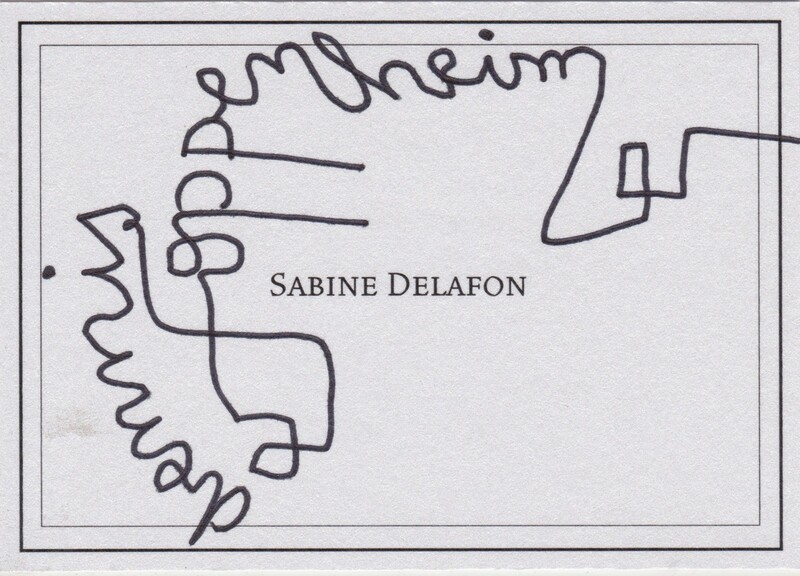 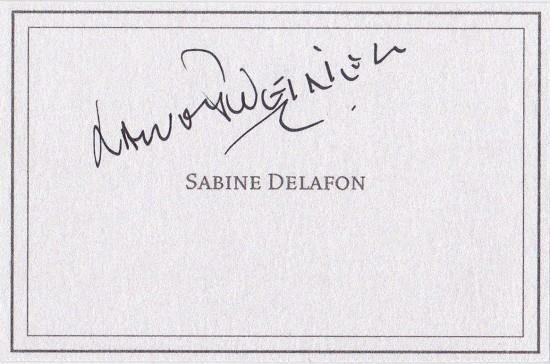 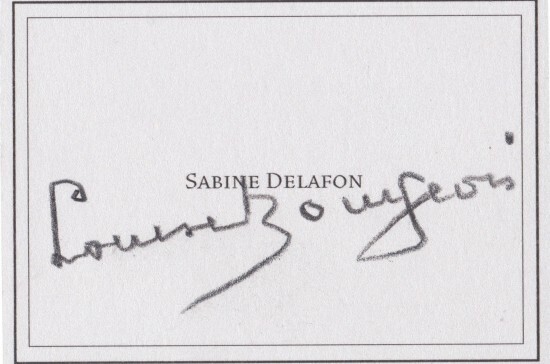 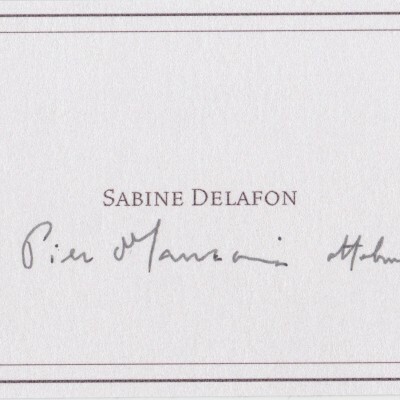 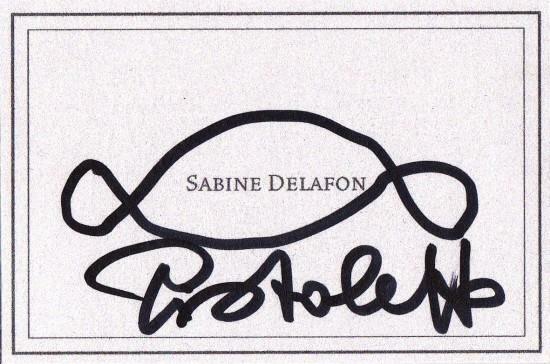 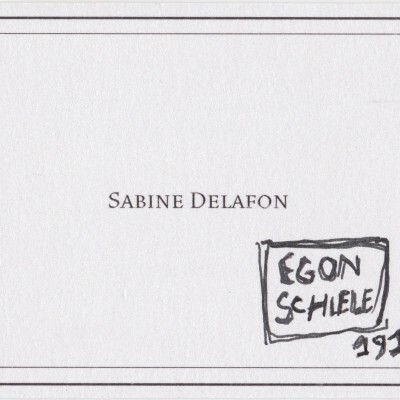 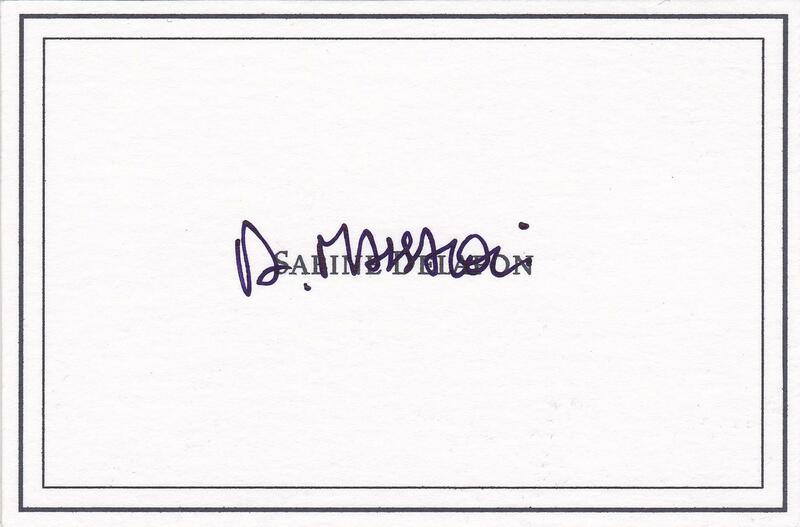 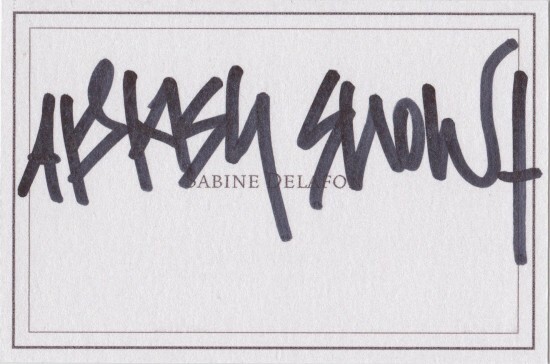 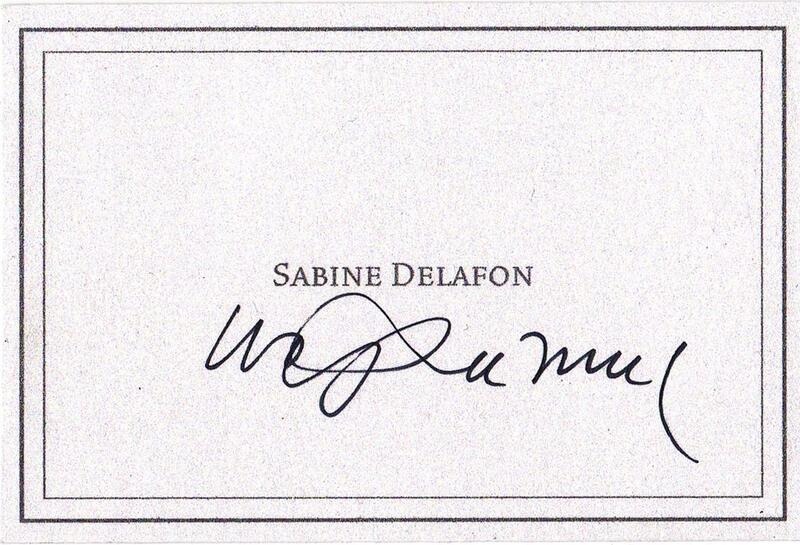 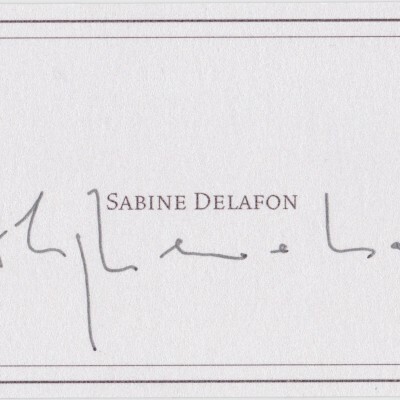 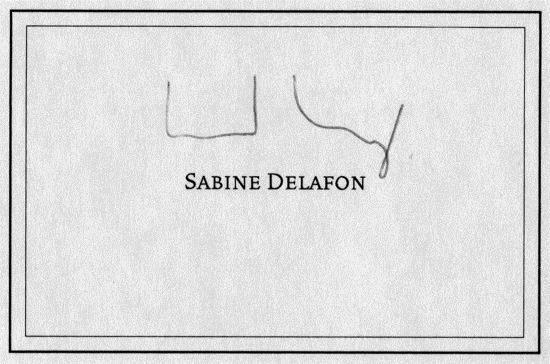 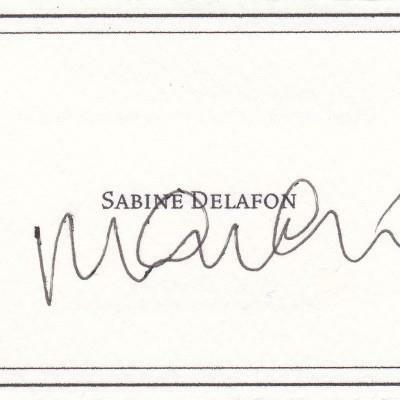 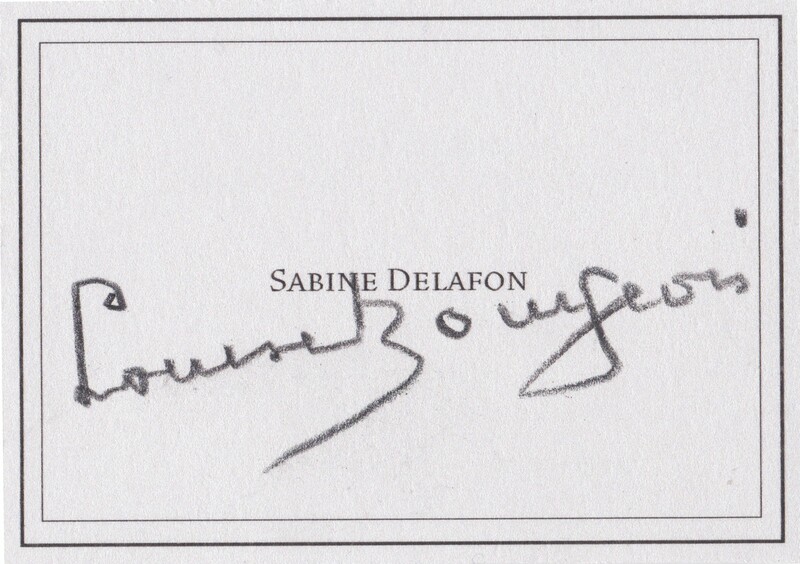 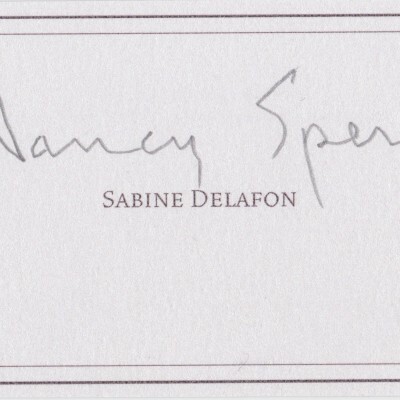 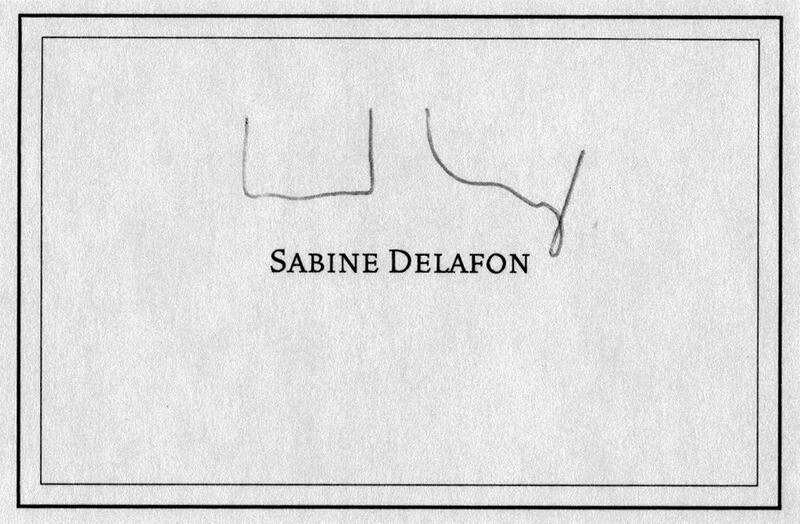 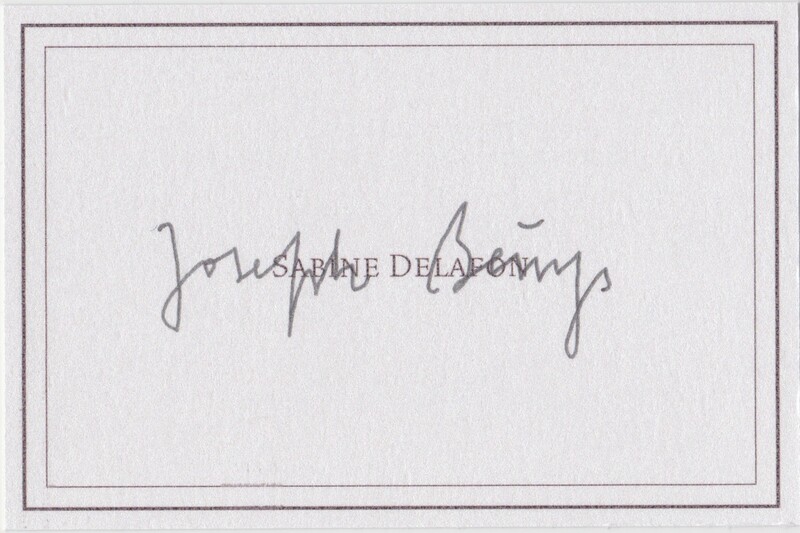 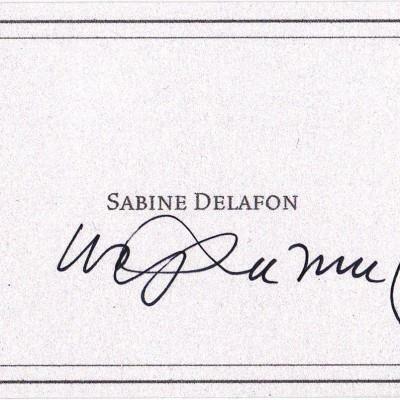 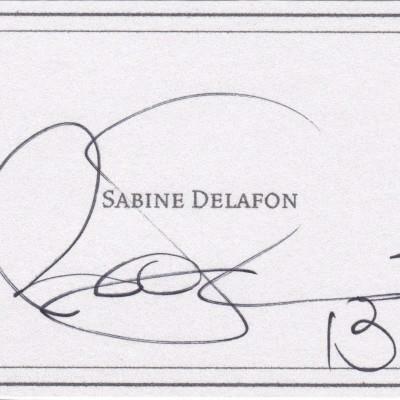 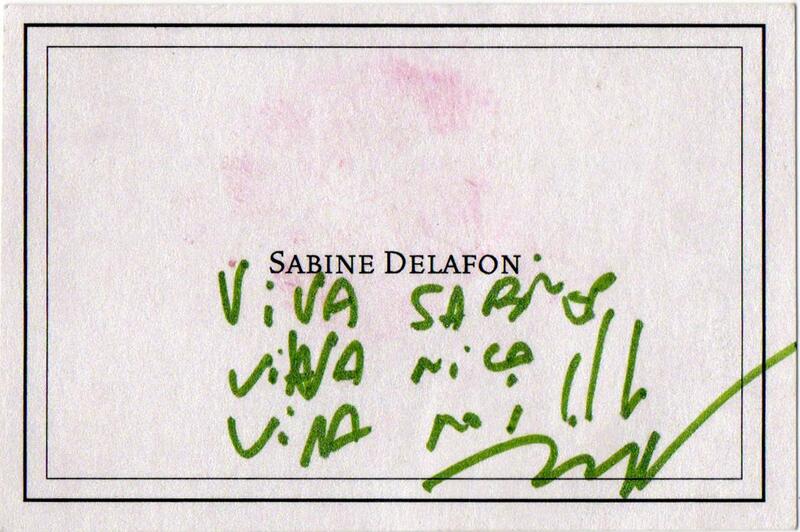 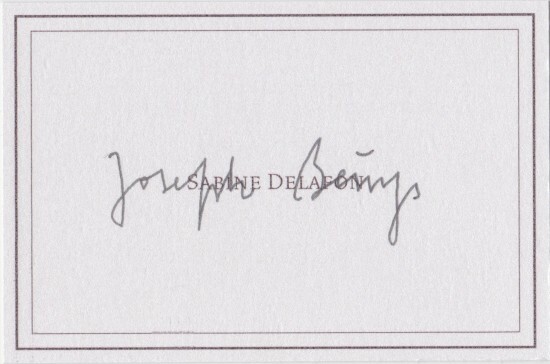 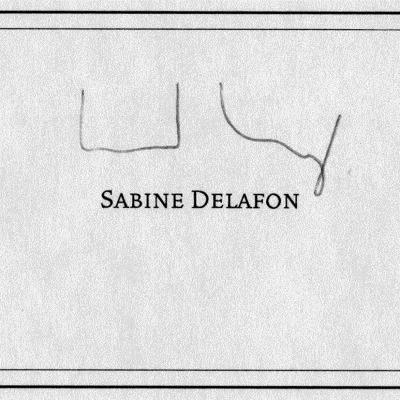 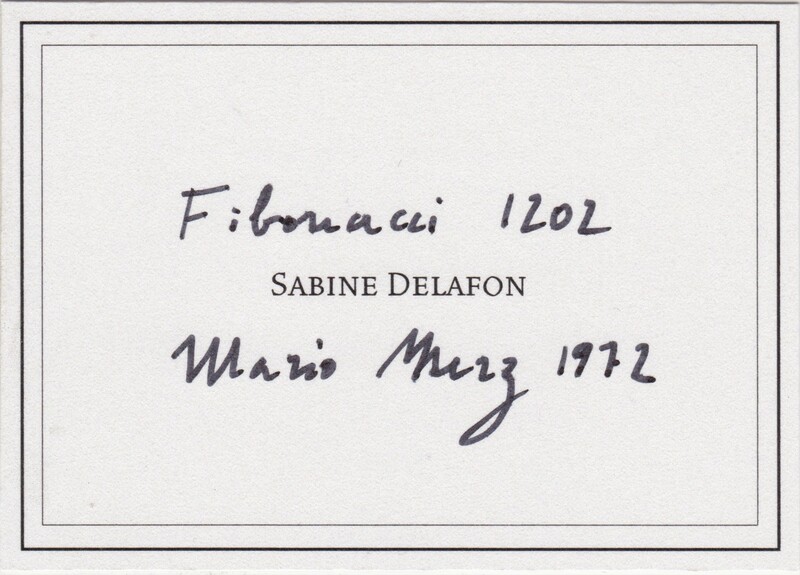 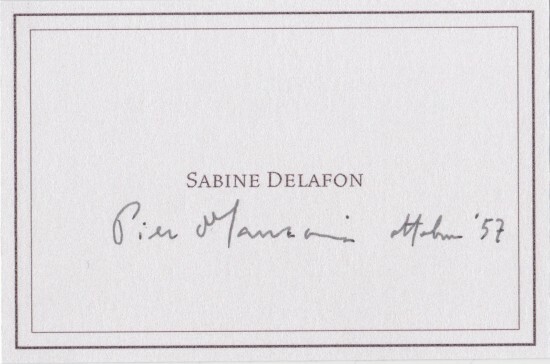 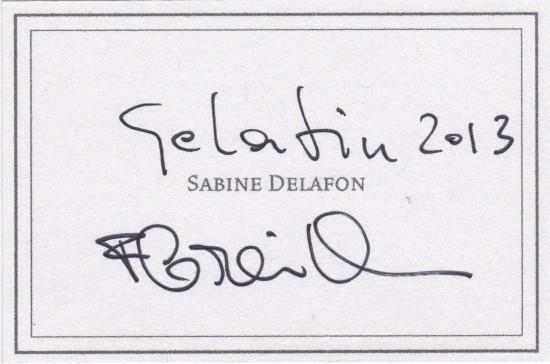 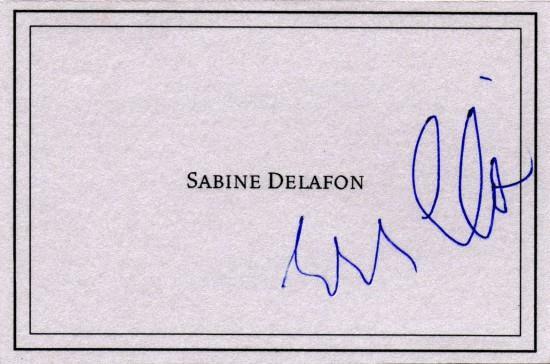 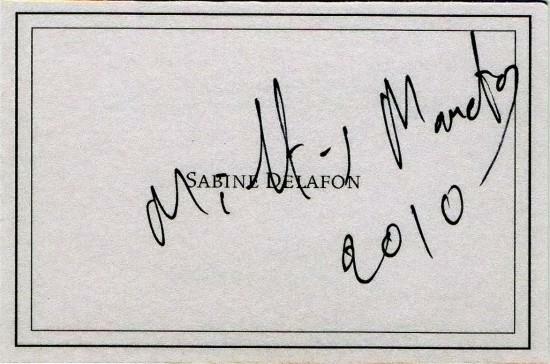 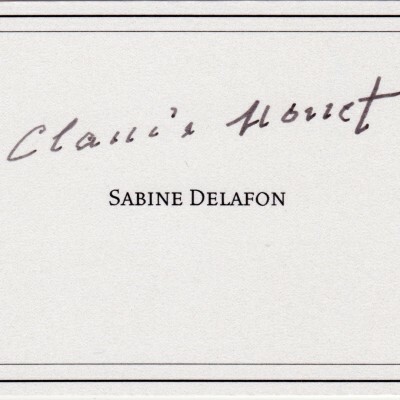 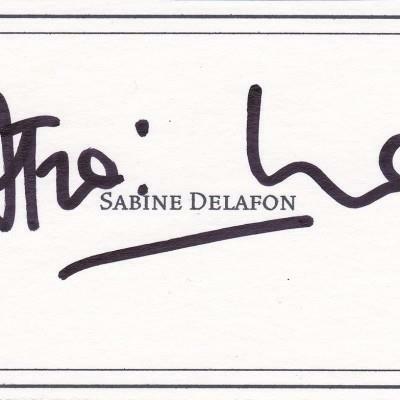 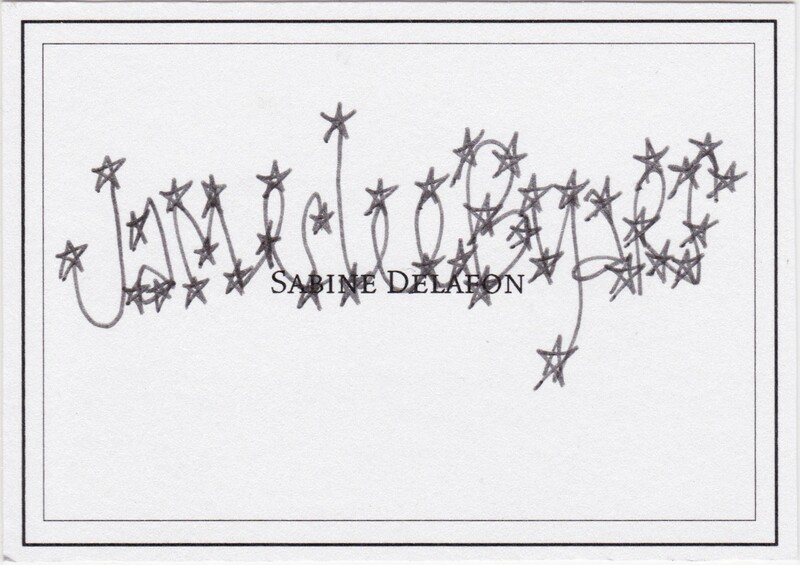 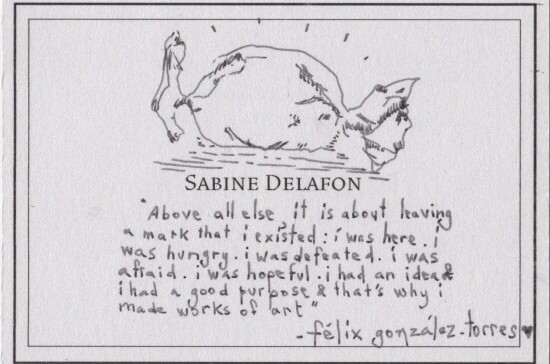 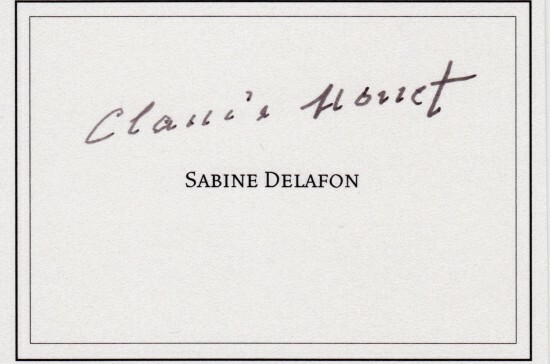 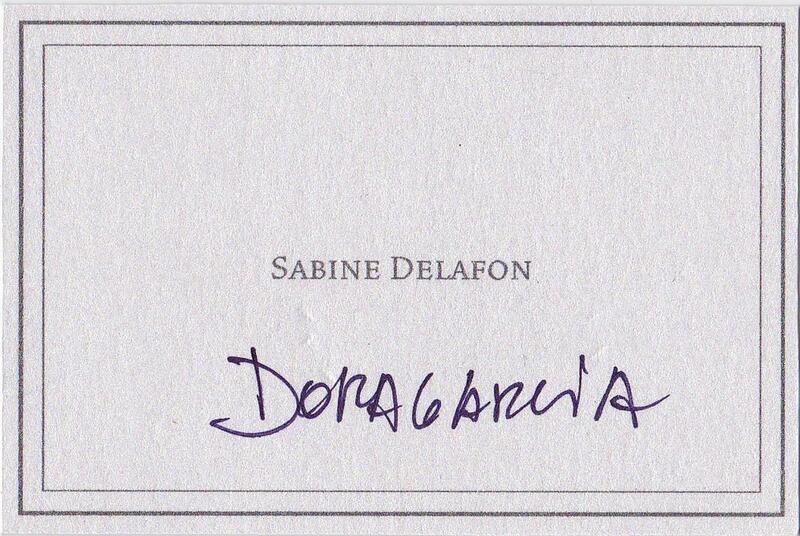 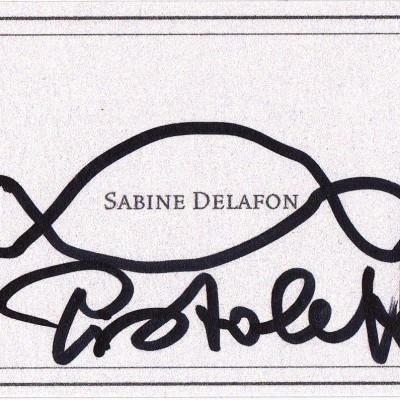 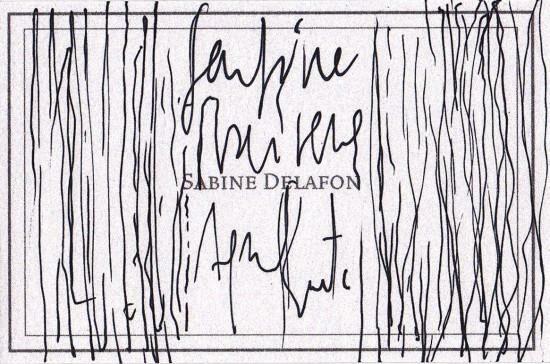 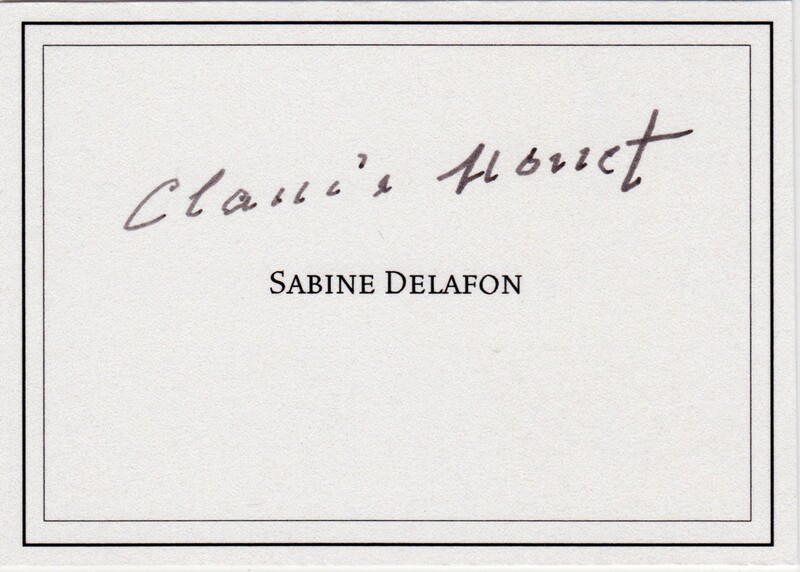 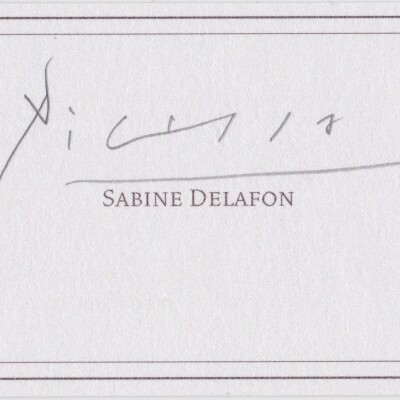 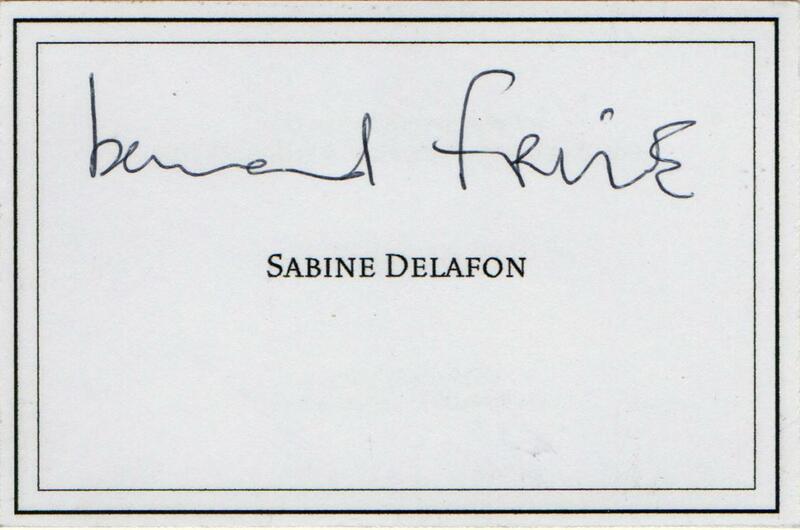 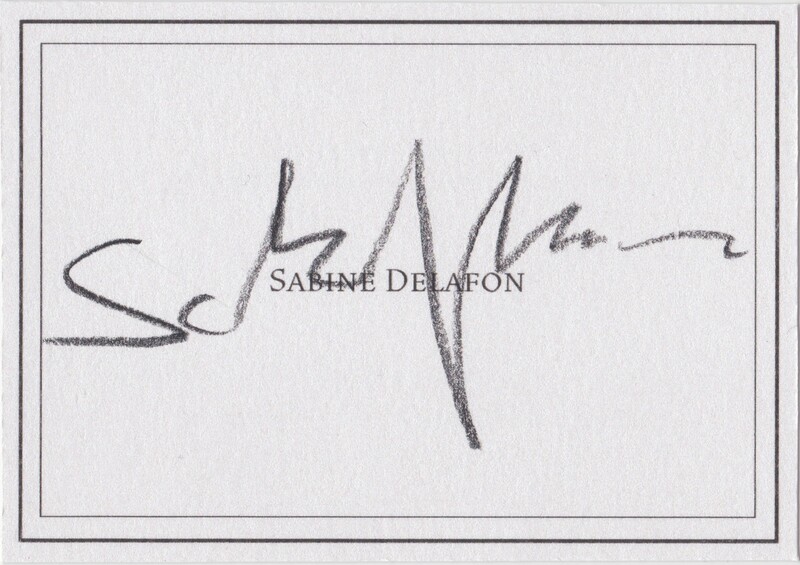 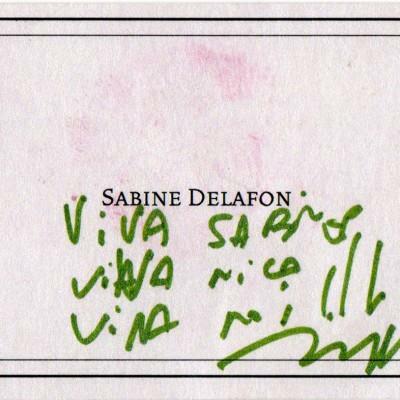 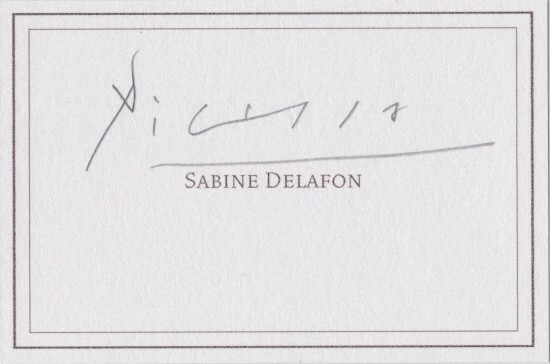 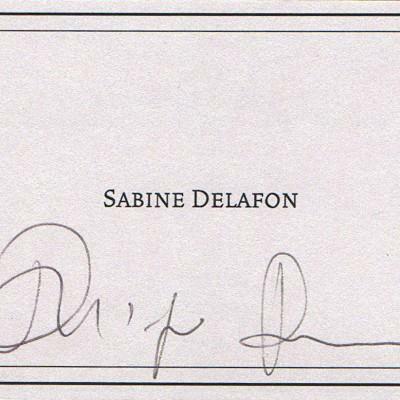 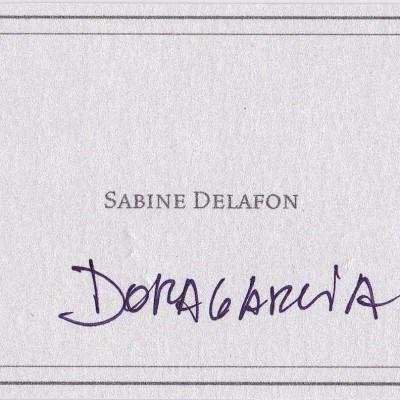 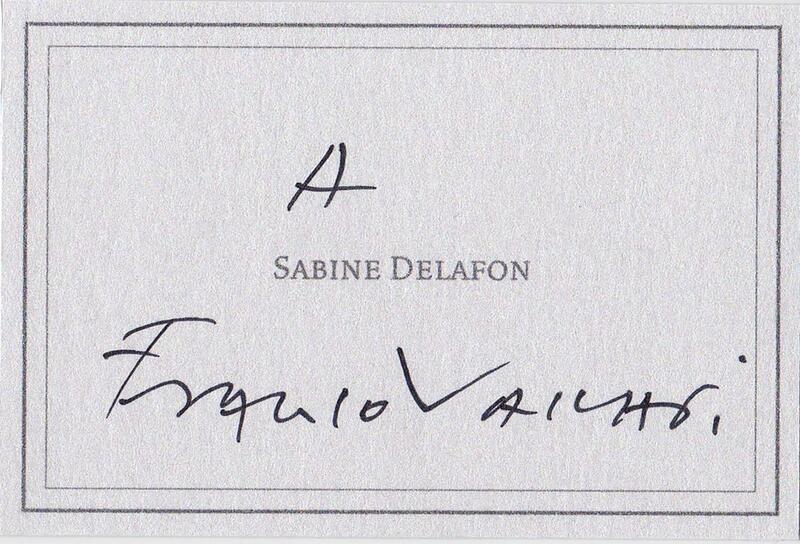 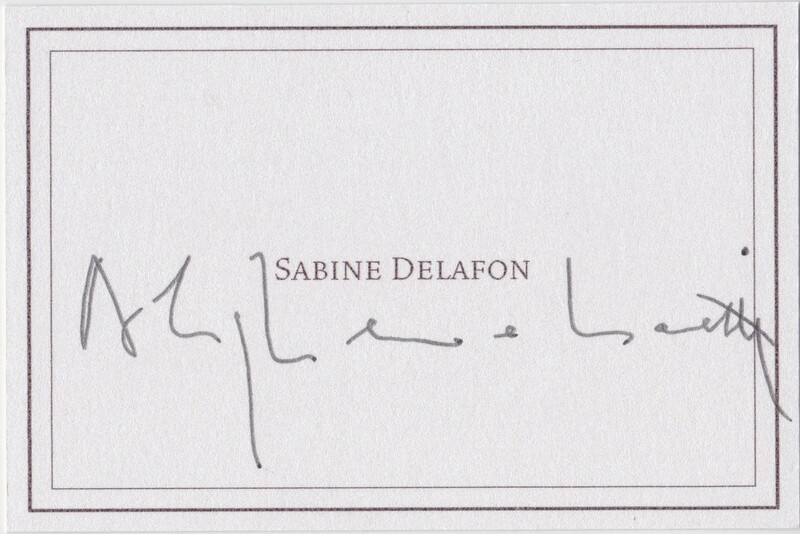 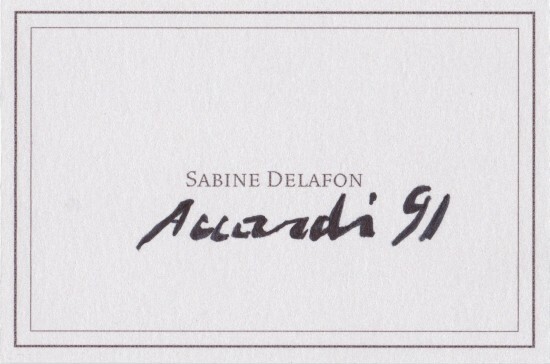 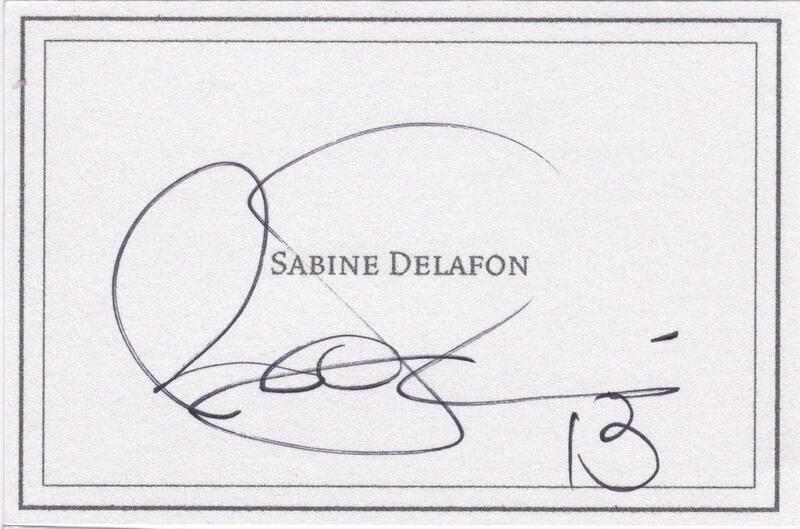 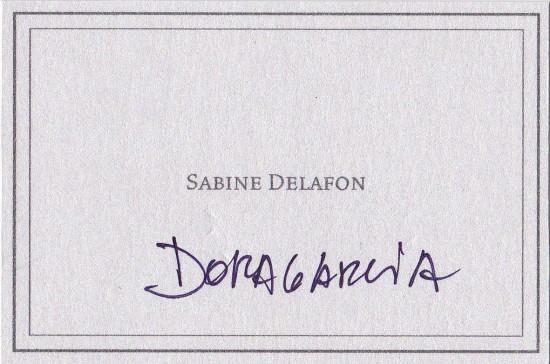 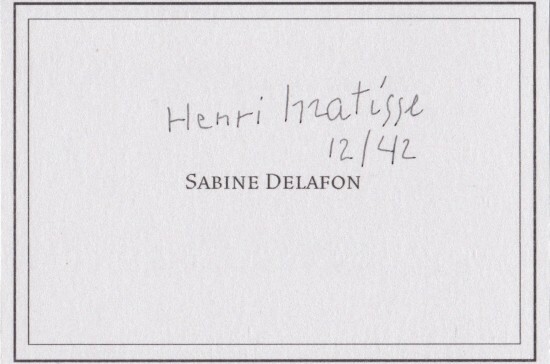 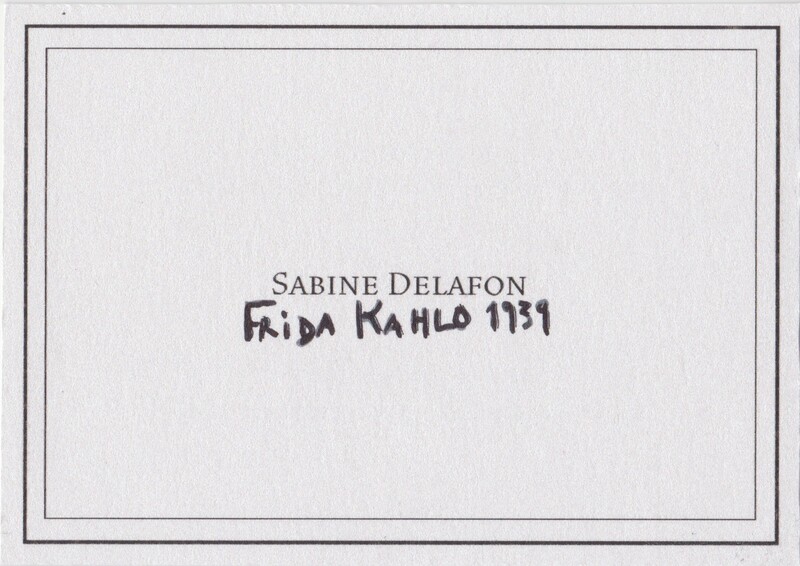 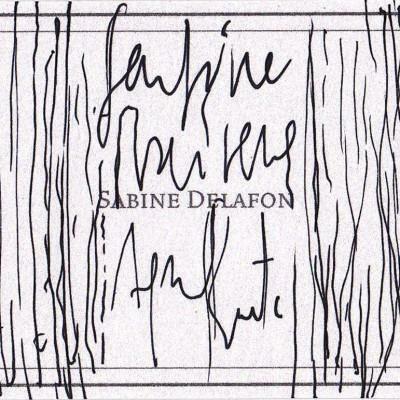 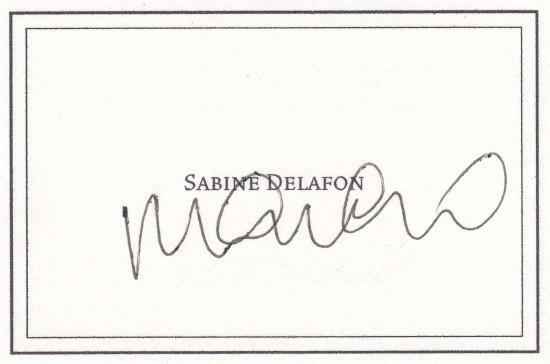 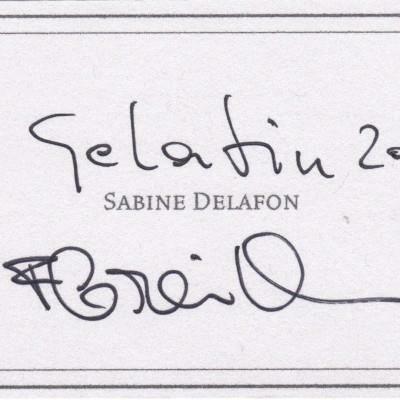 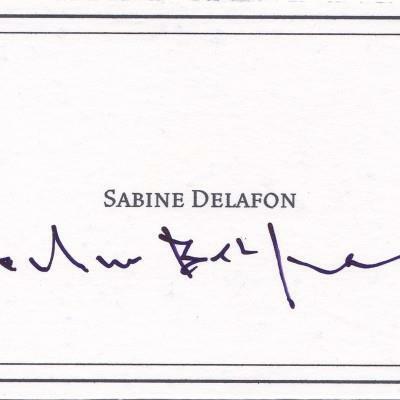 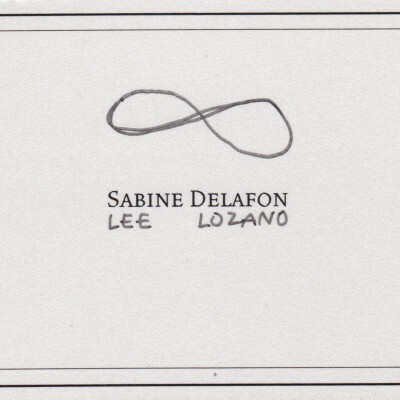 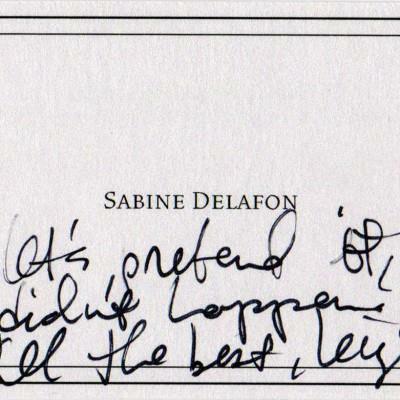 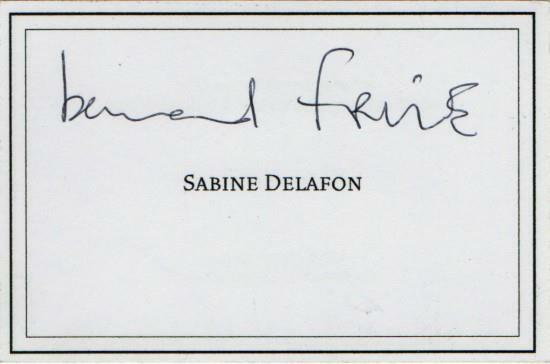 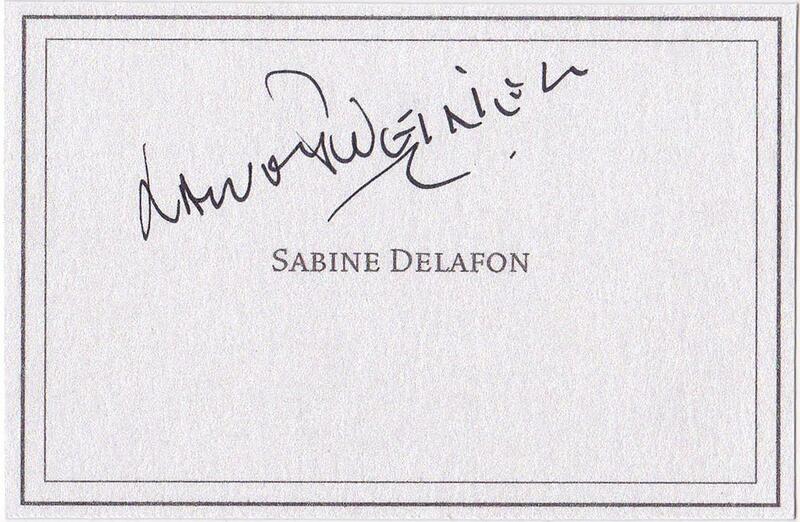 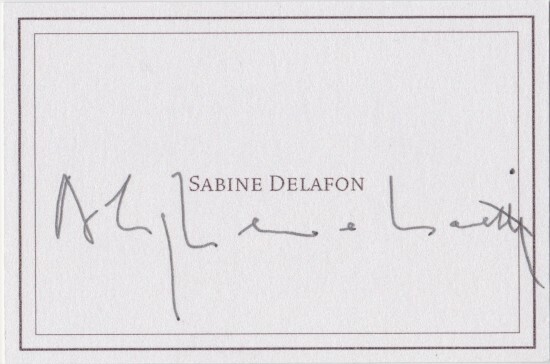 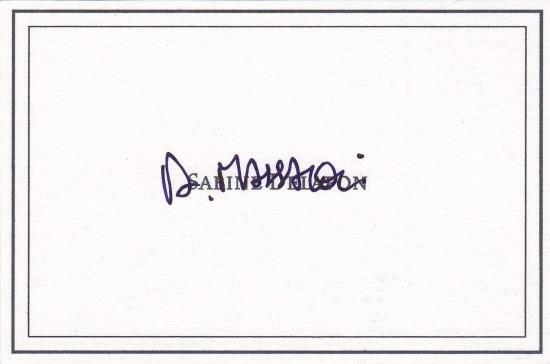 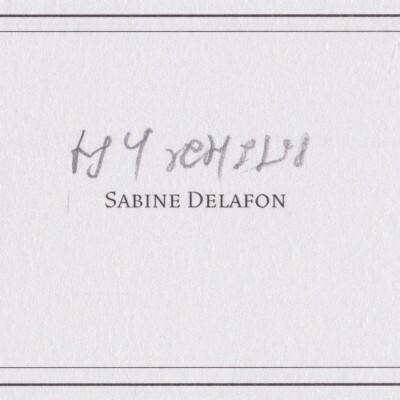 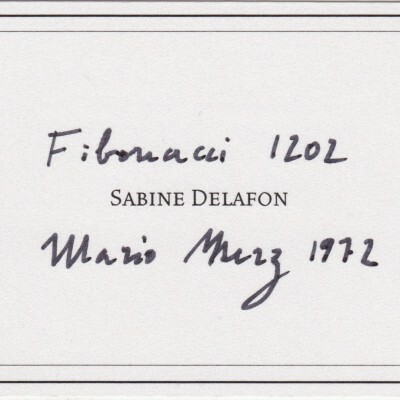 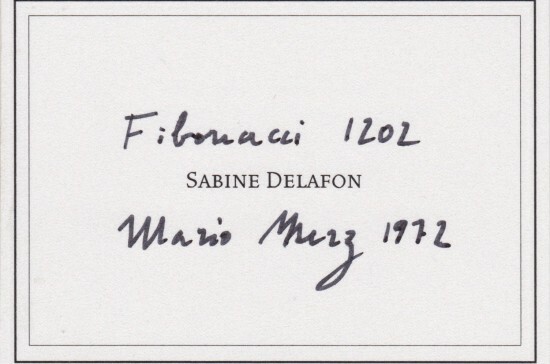 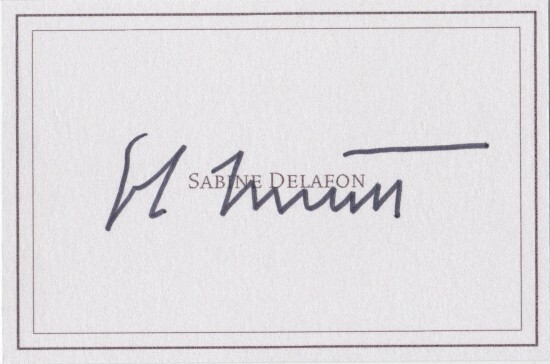 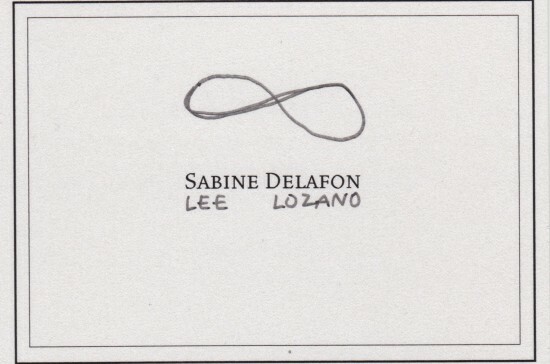 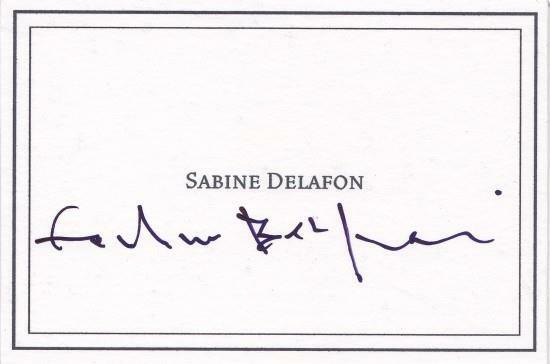 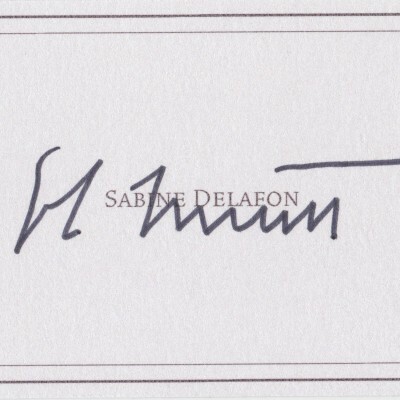 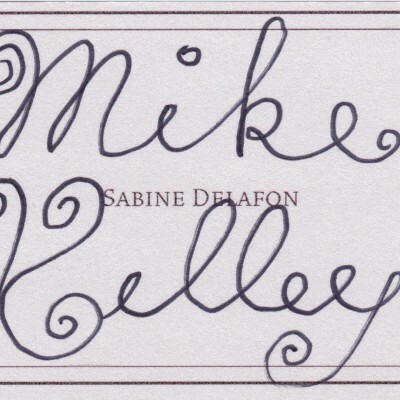 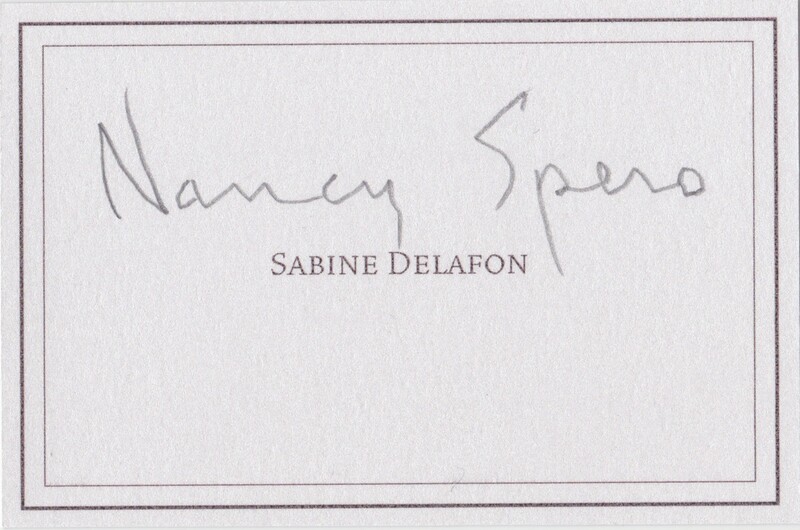 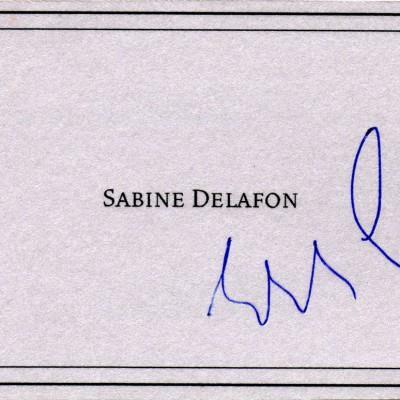 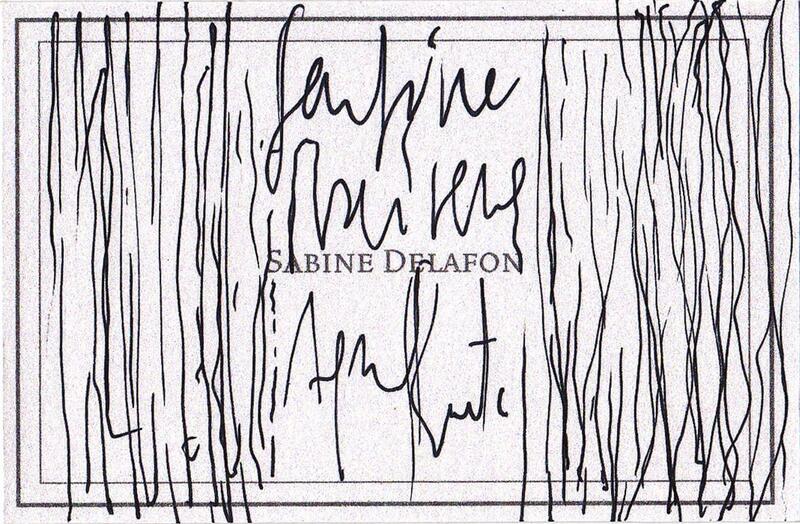 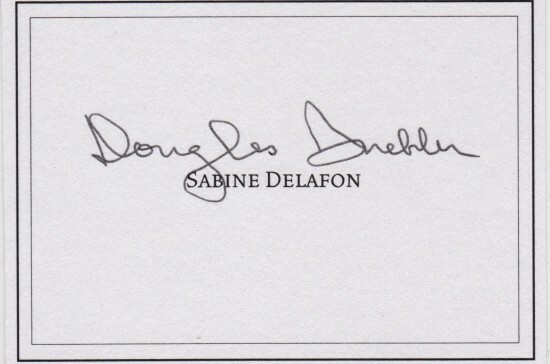 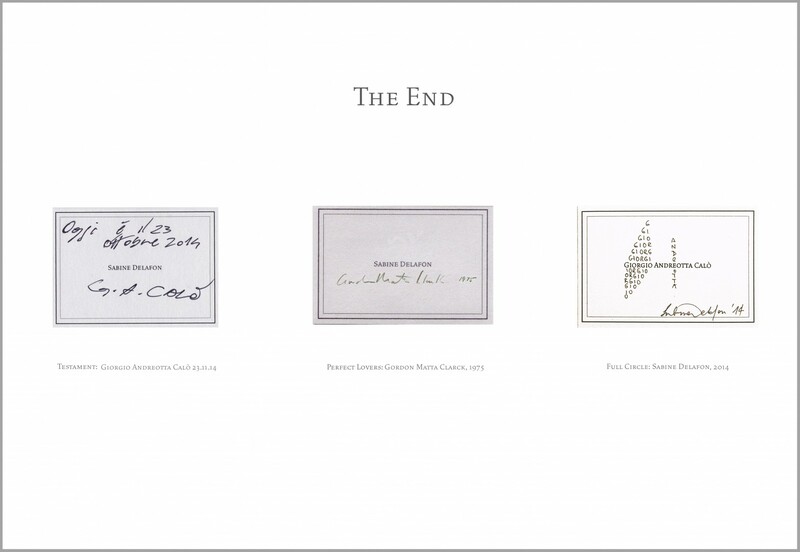 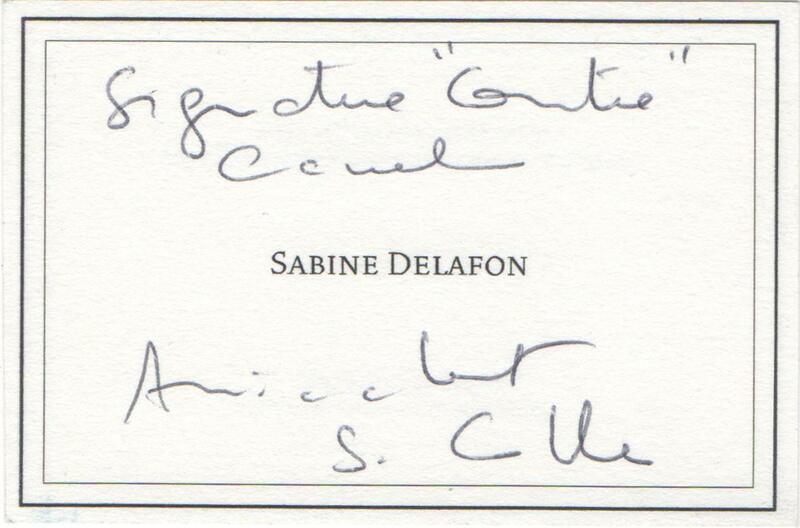 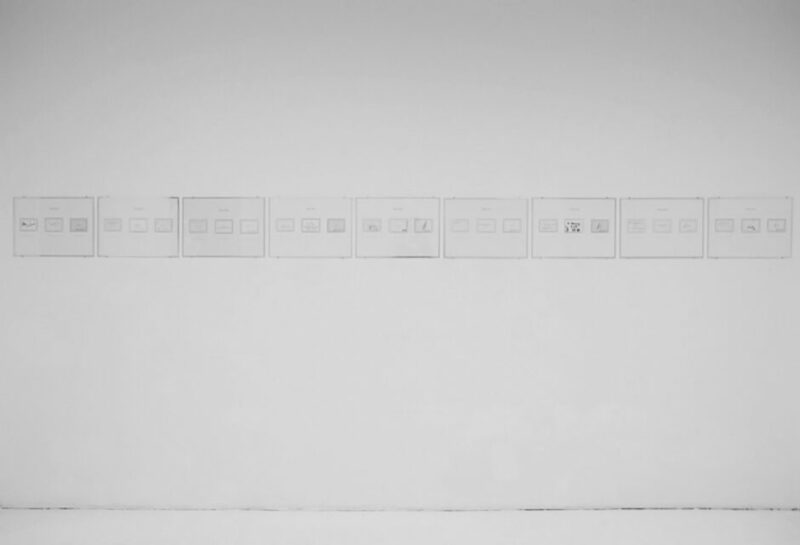 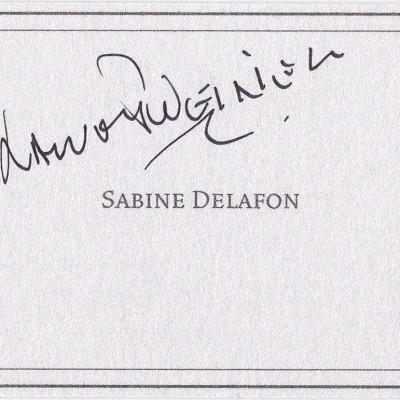 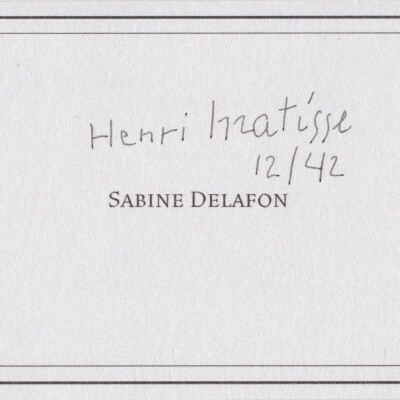 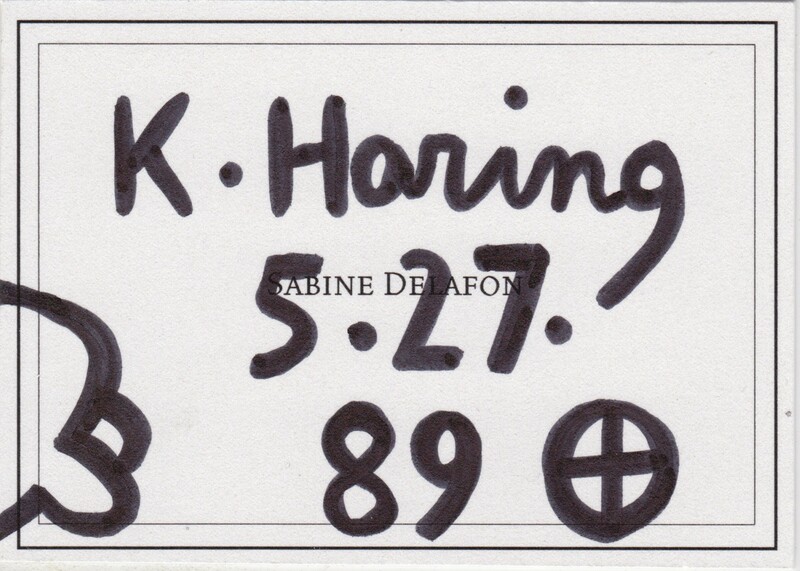 Sabine Delafon business card signed by other artists – 10 x 7 cm each, unique piece. 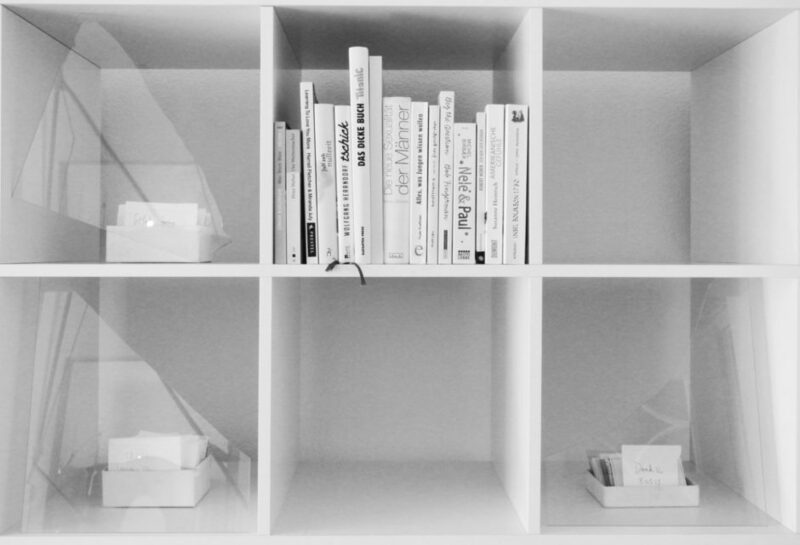 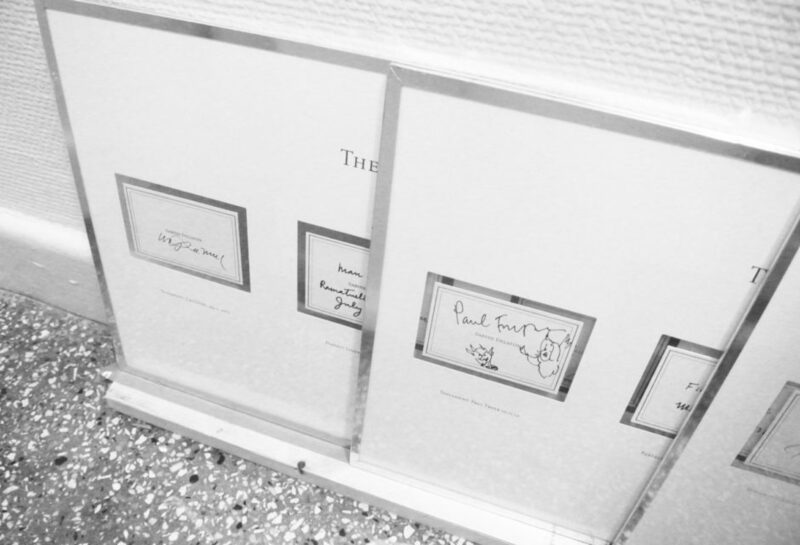 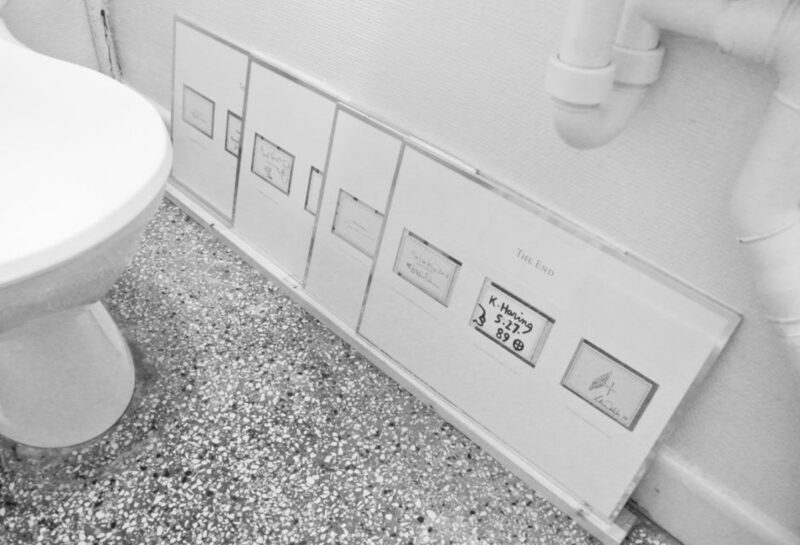 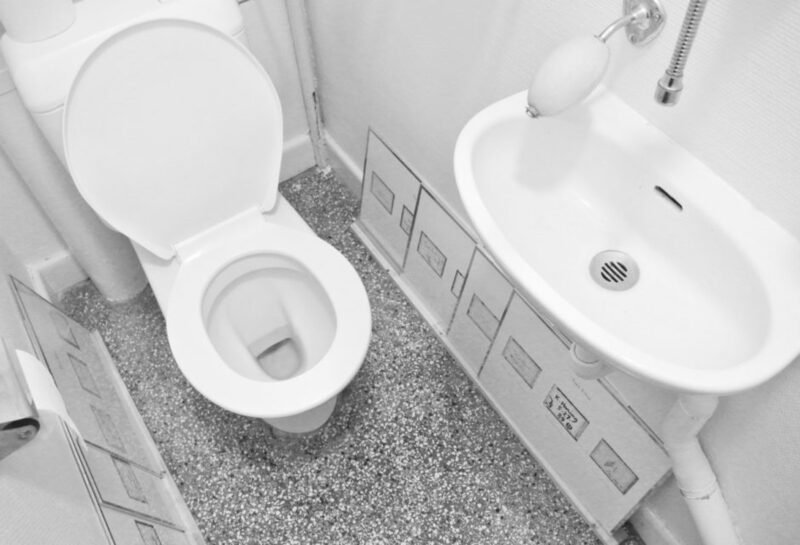 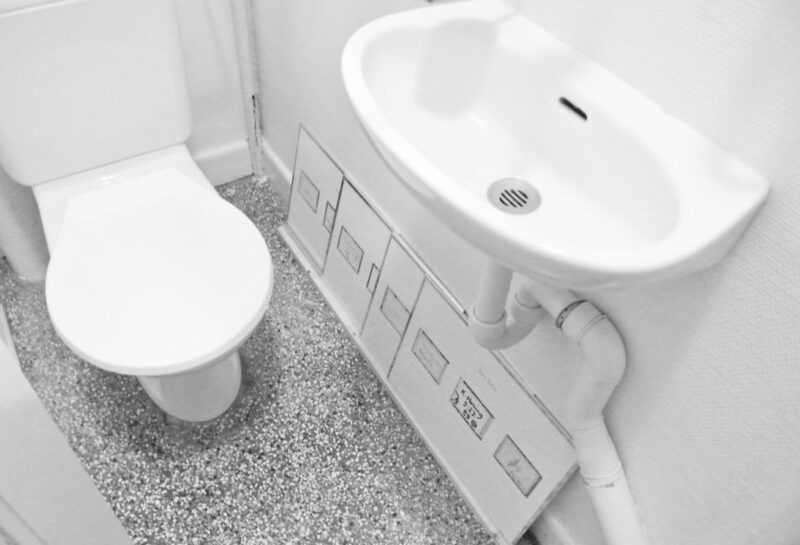 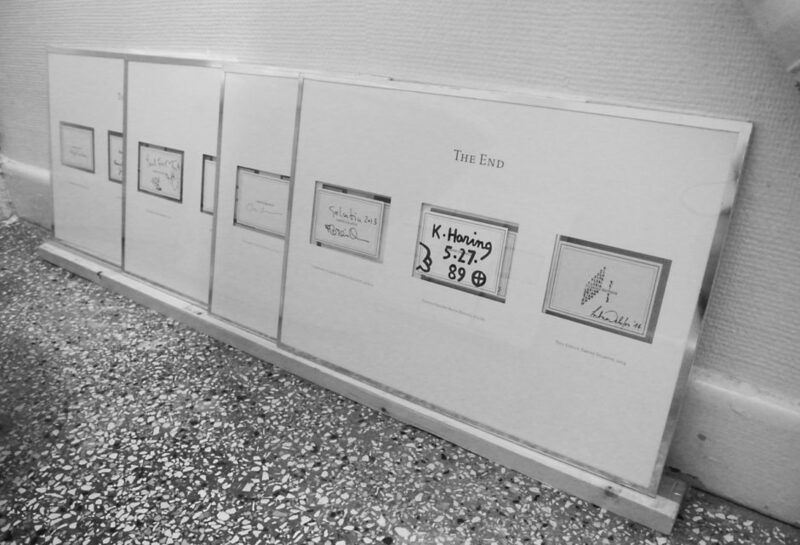 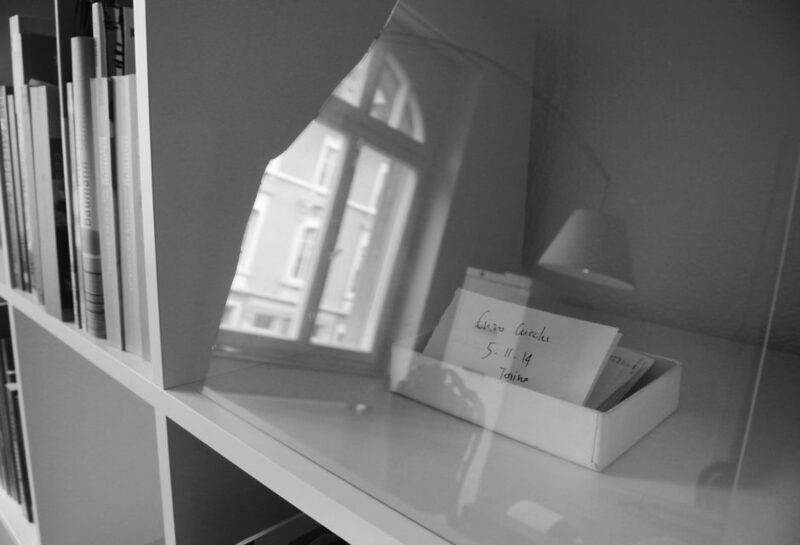 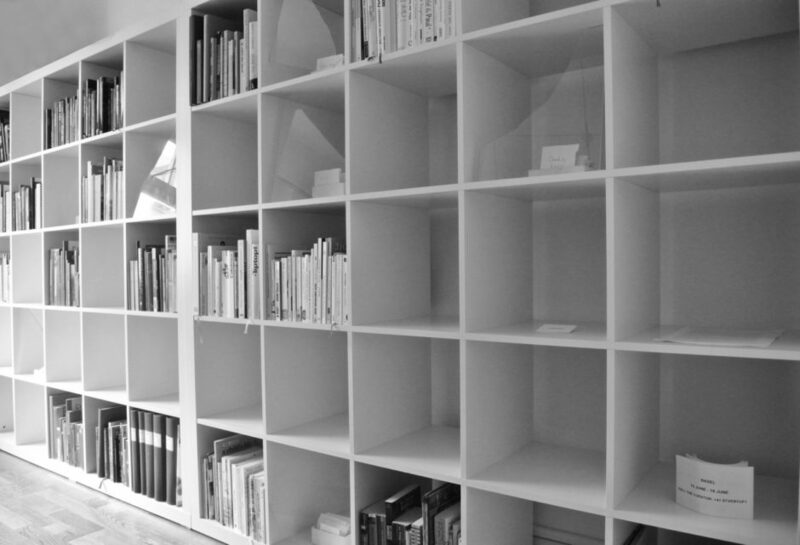 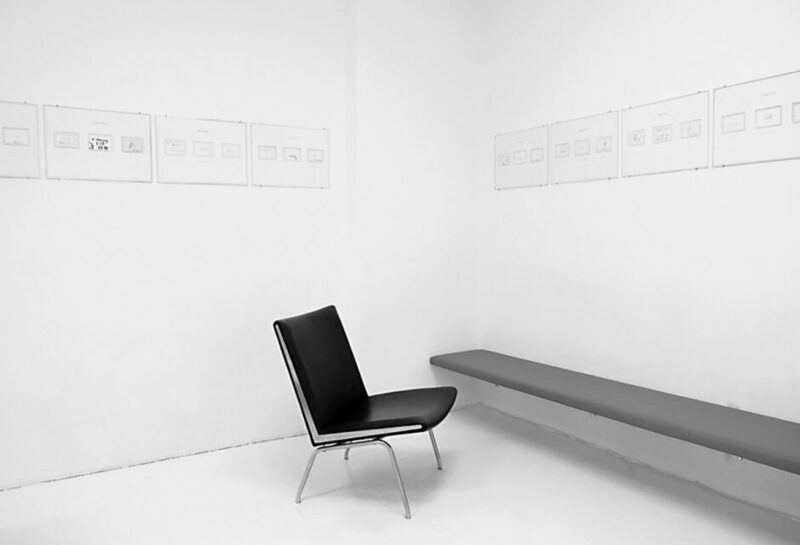 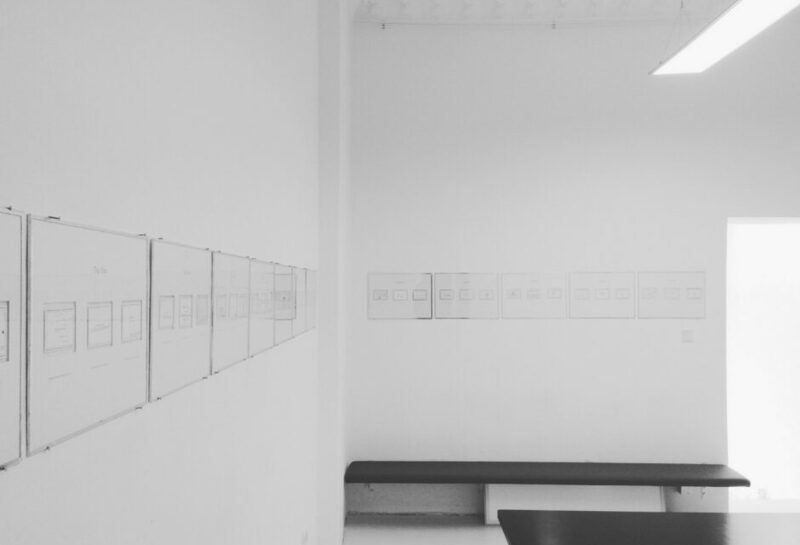 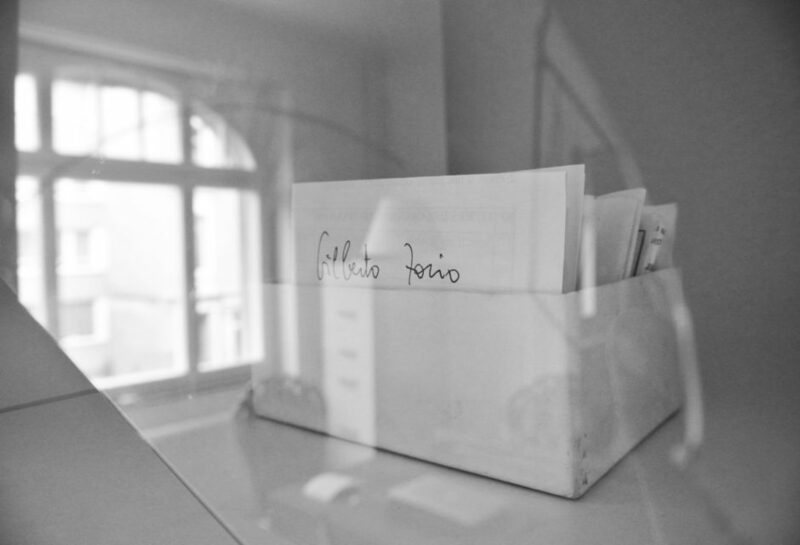 project curated by Sophie Yerly at Grenzacherstrasse 84 - Basel / Switzerland - June 13, from 7.00 pm until June 19th 2016. 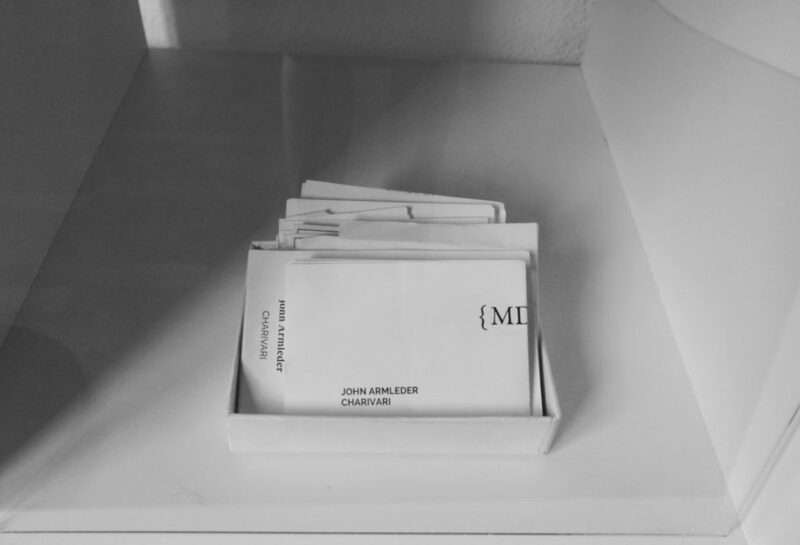 - 10 x 7 cm each, unique piece. 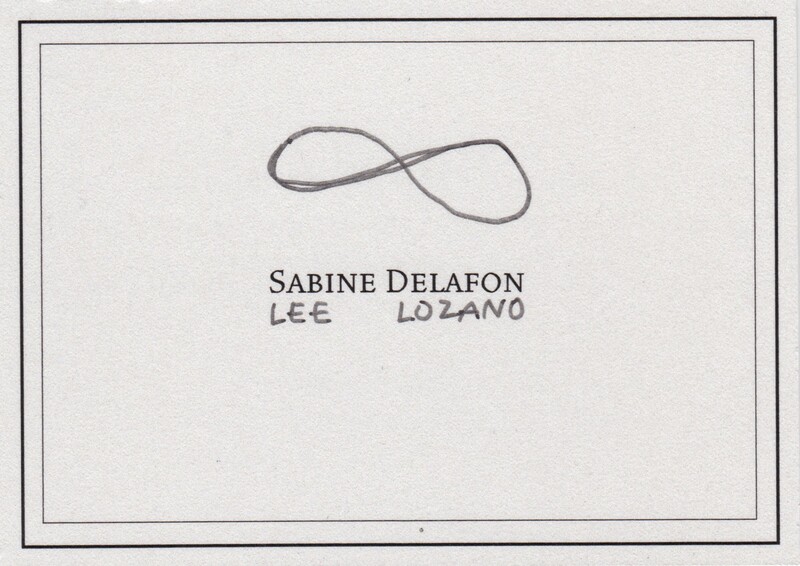 is the closing full circle.